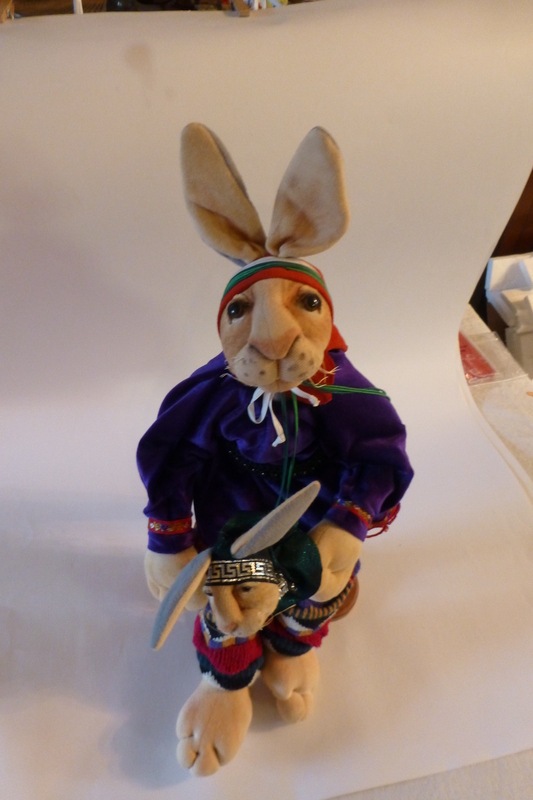 He measures 21″ from head to tip of toe. 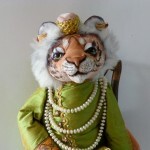 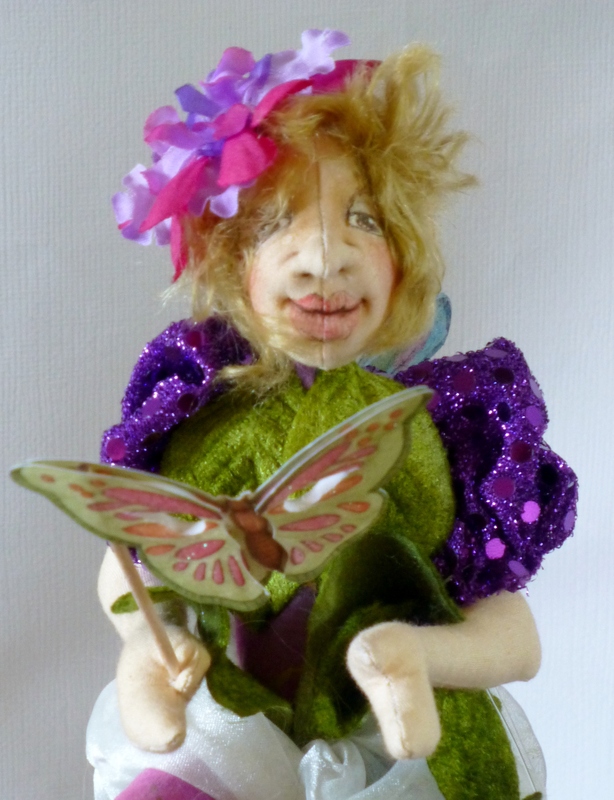 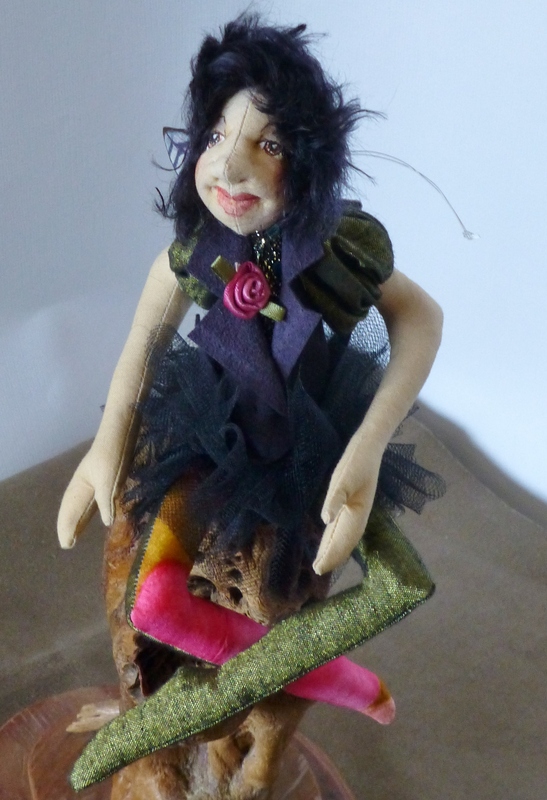 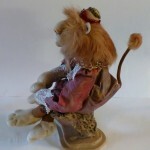 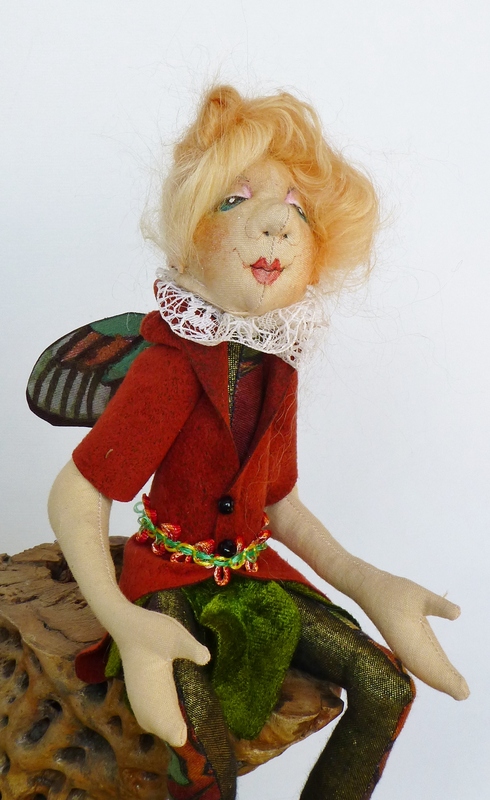 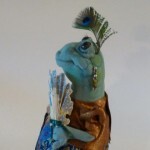 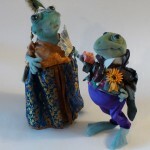 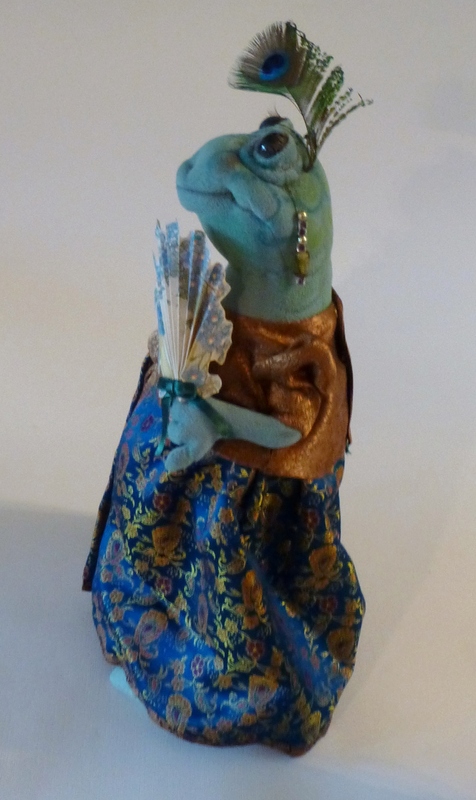 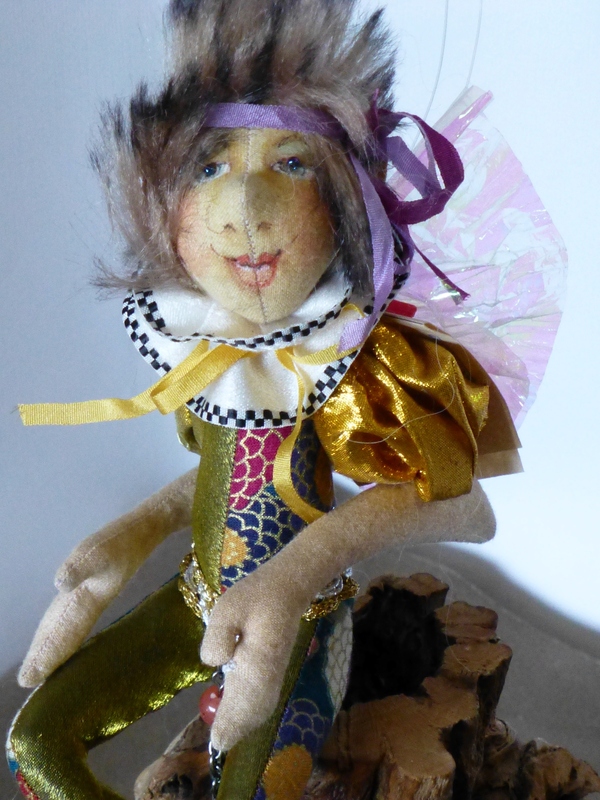 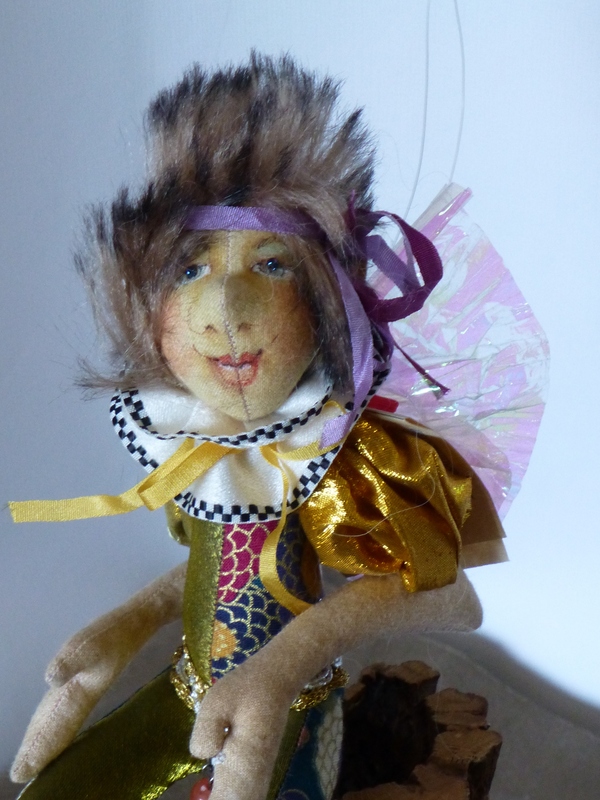 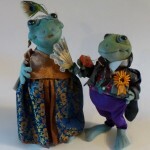 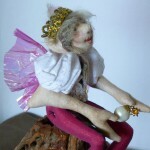 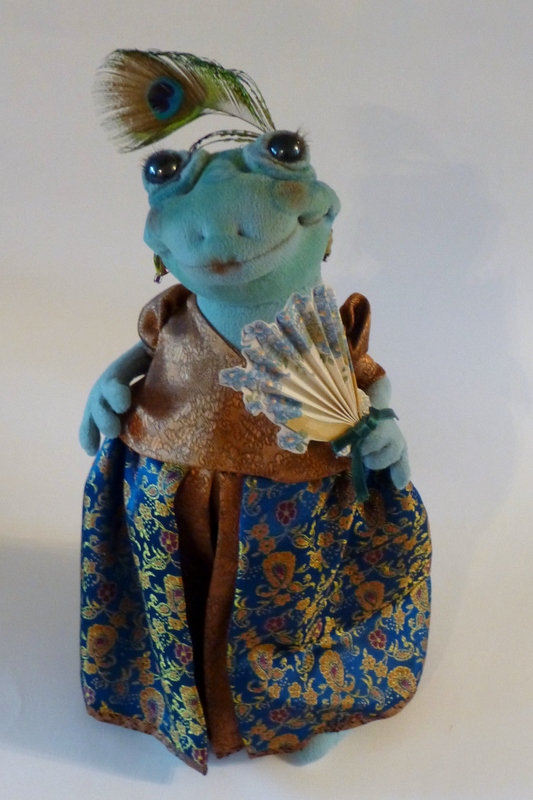 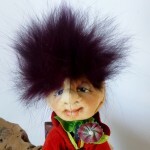 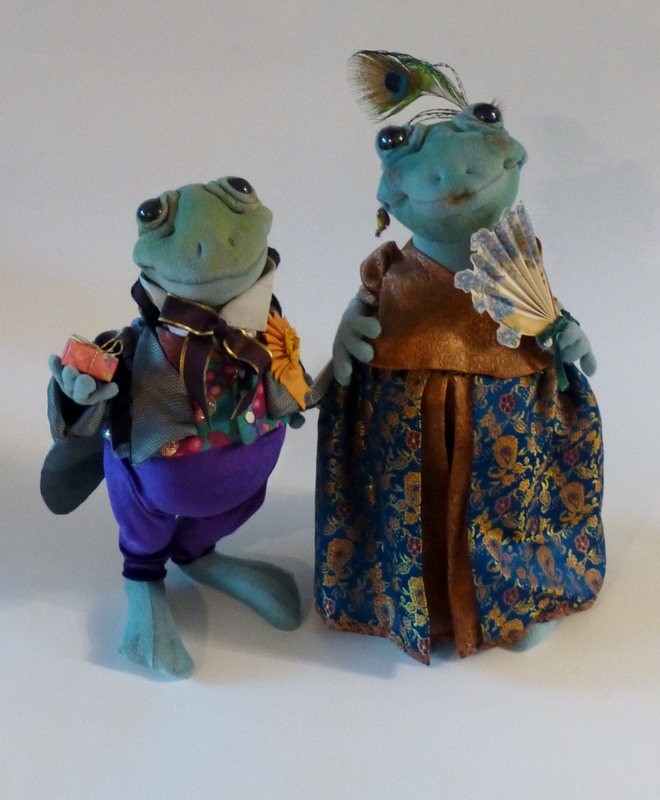 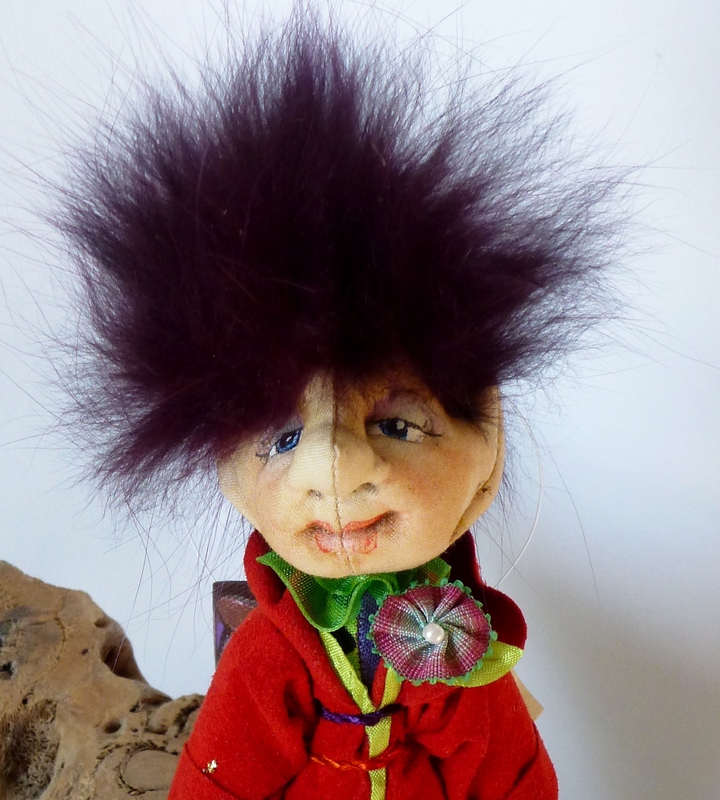 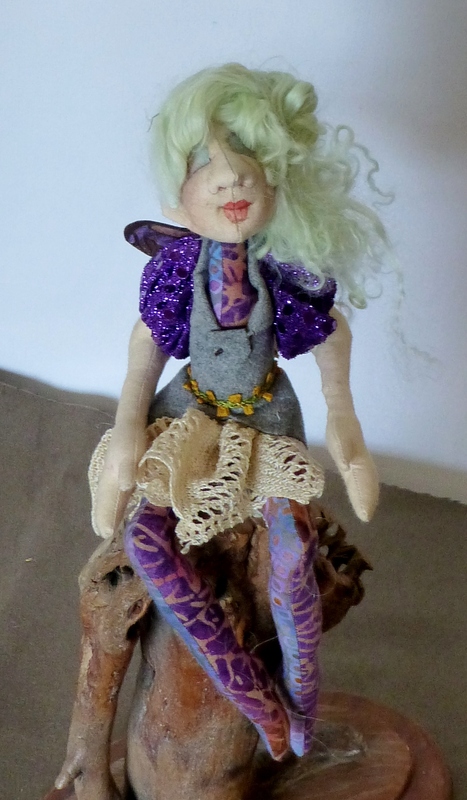 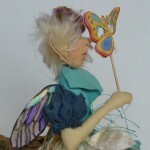 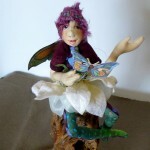 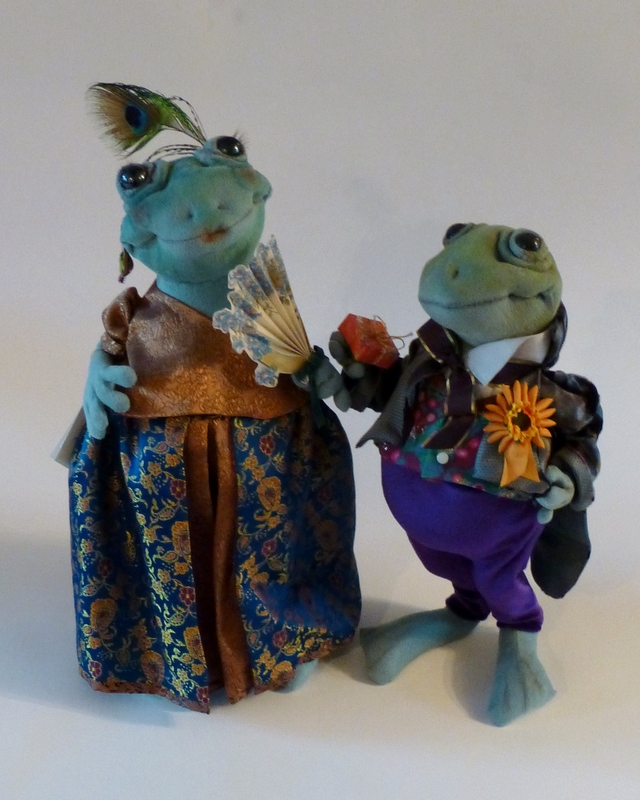 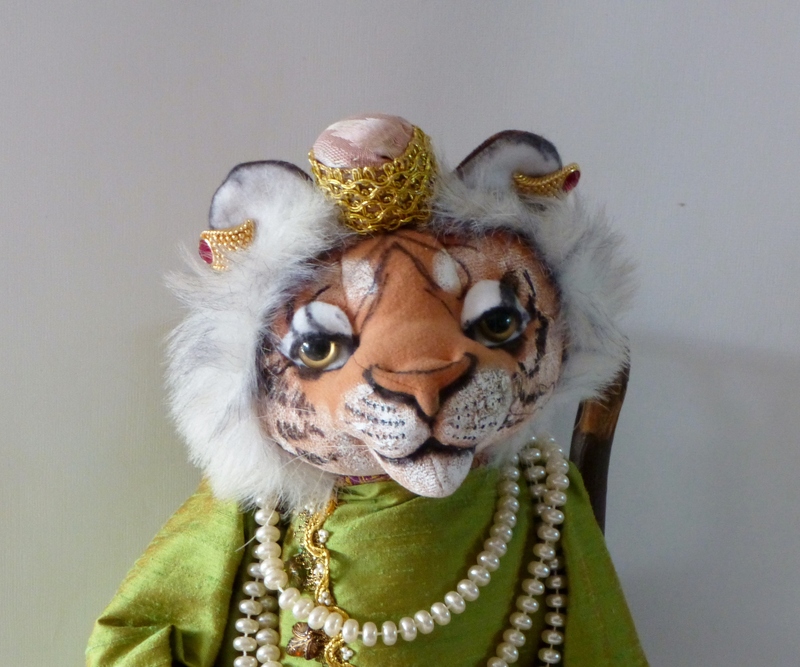 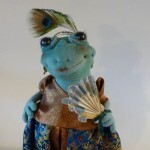 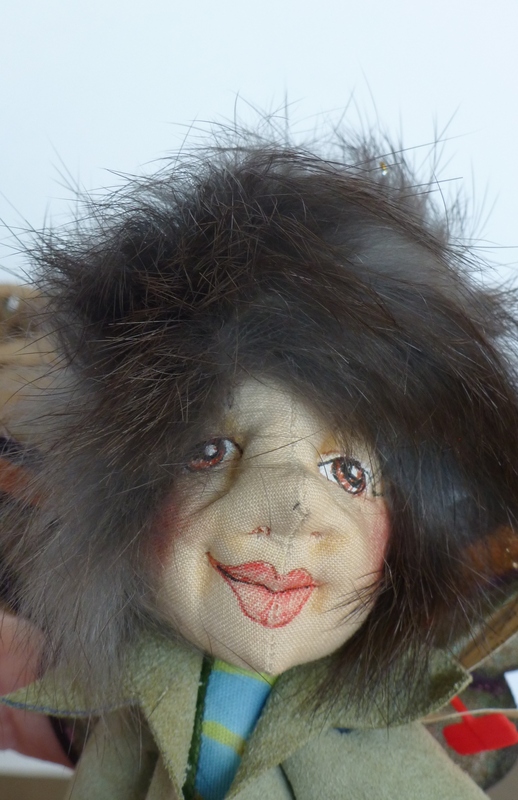 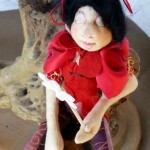 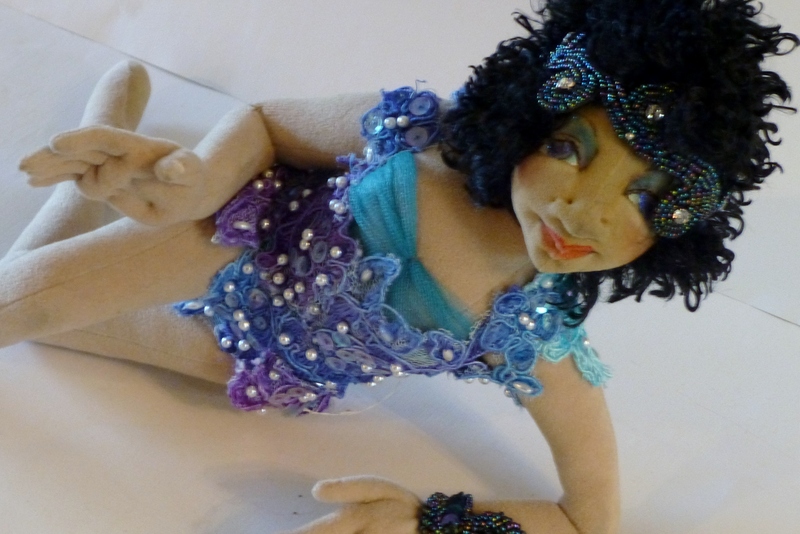 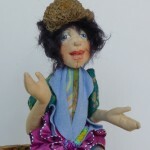 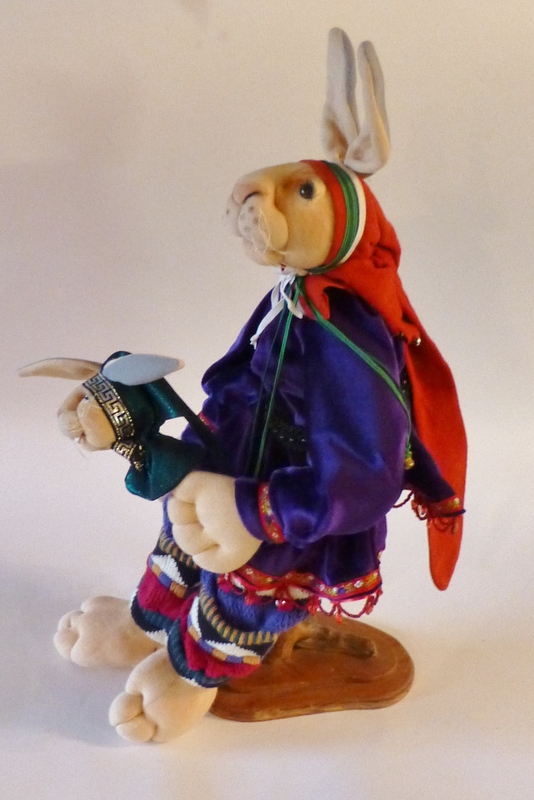 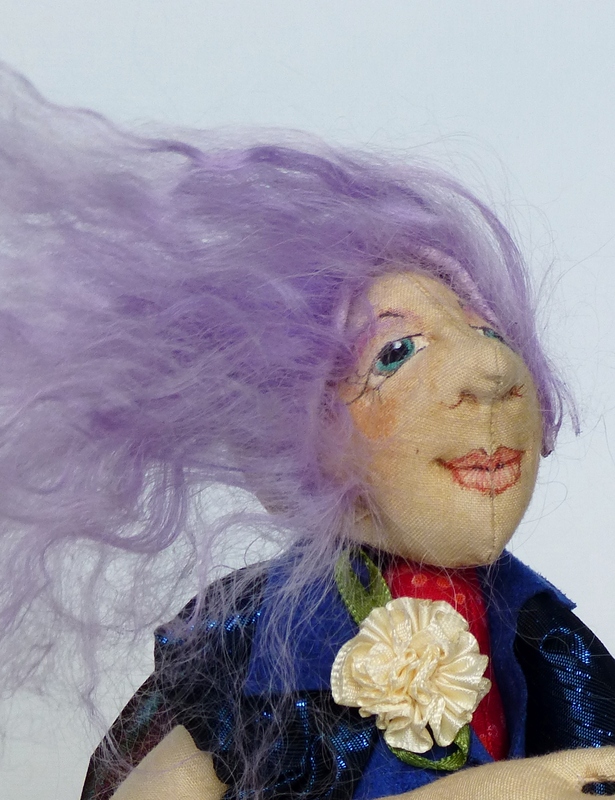 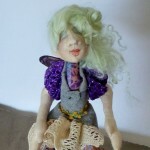 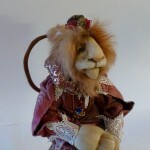 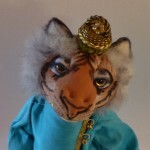 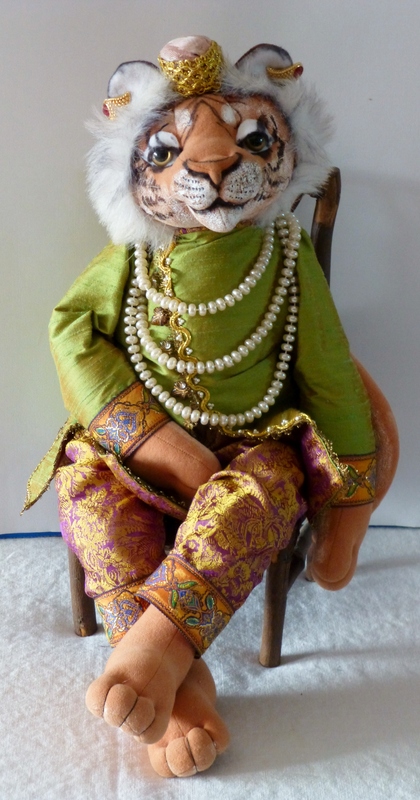 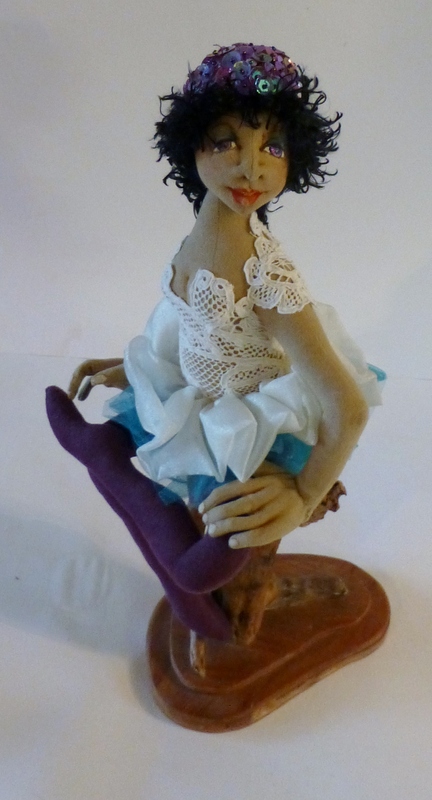 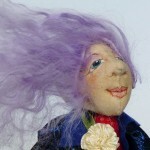 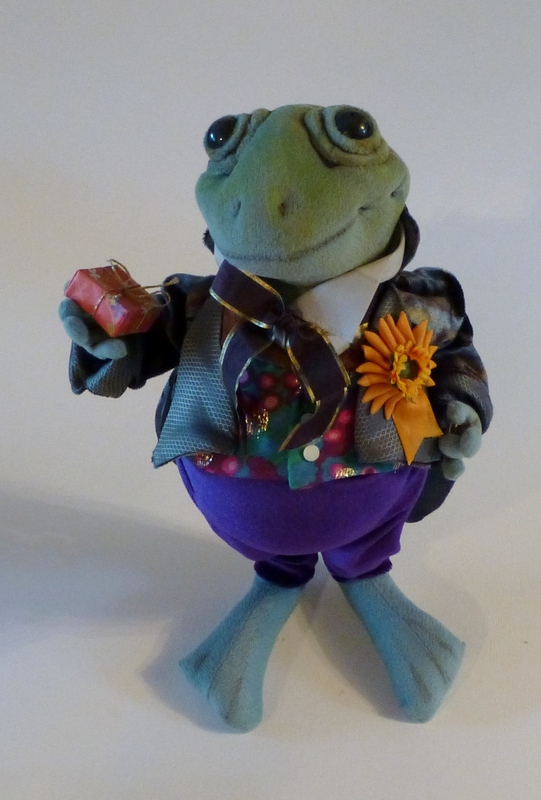 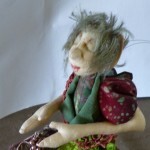 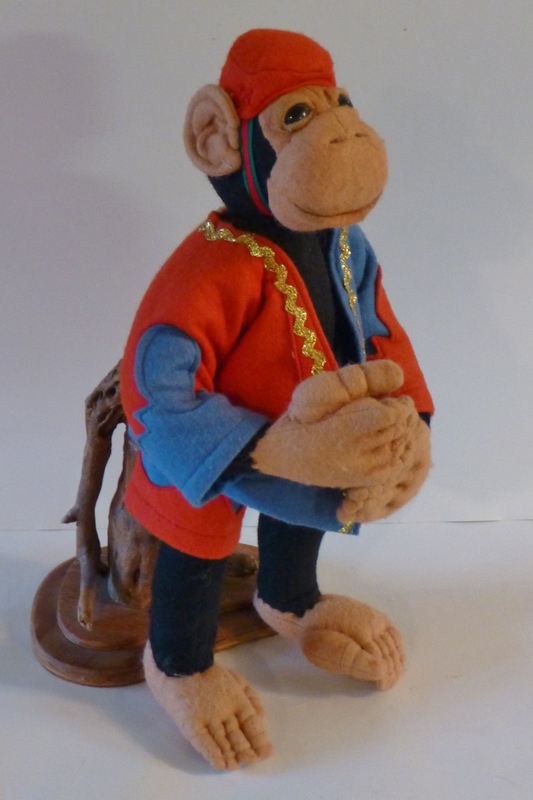 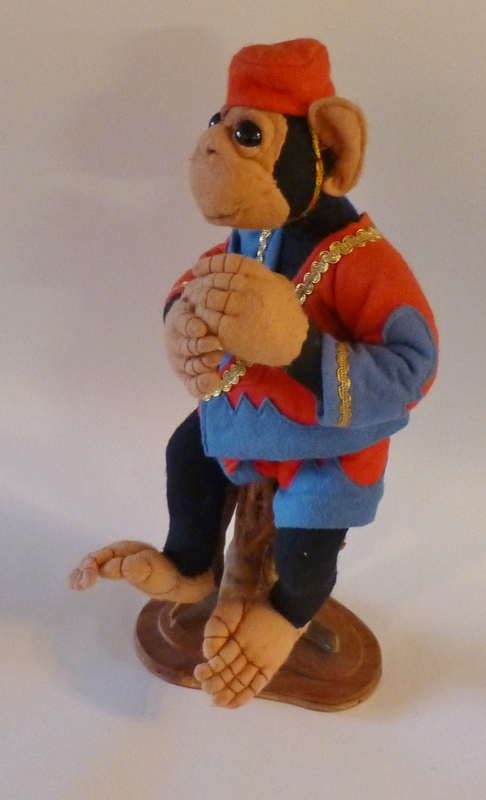 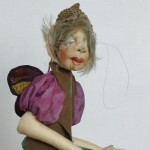 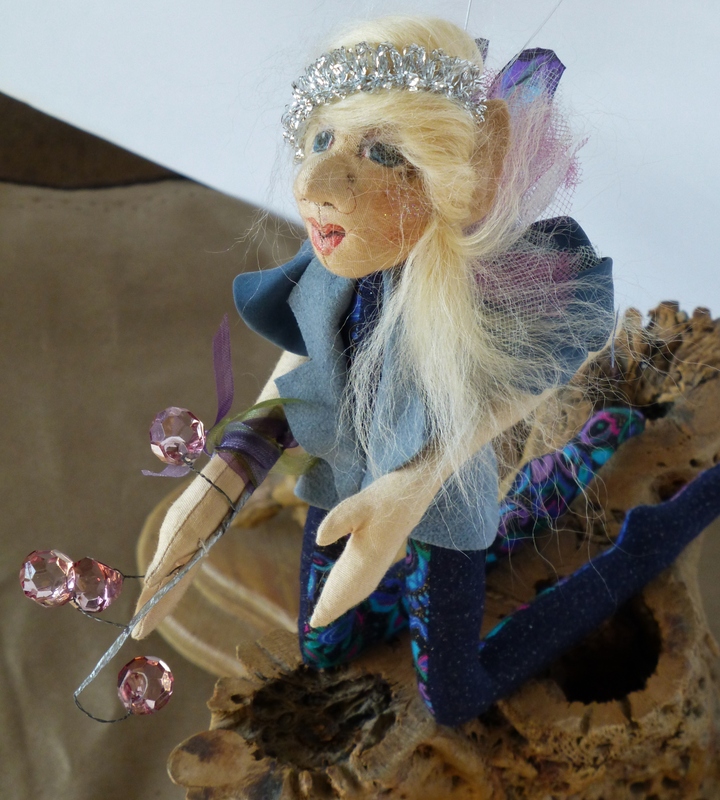 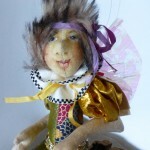 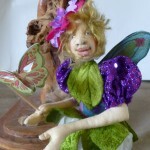 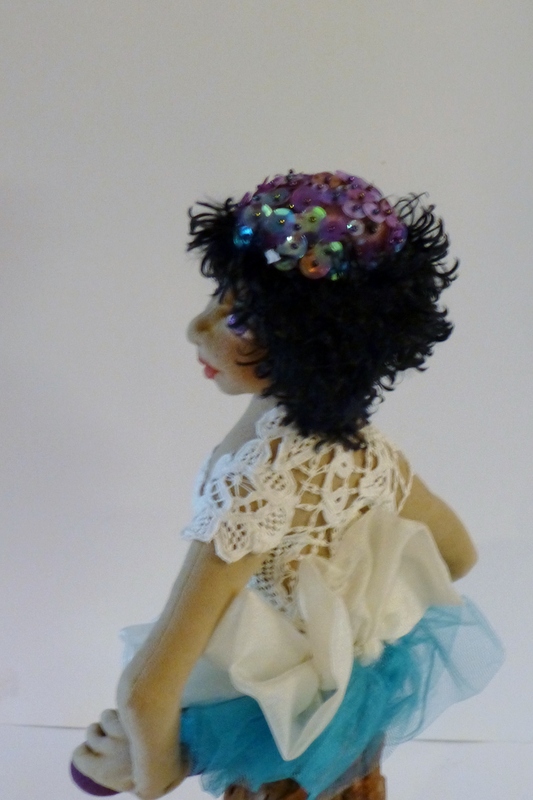 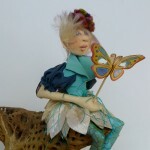 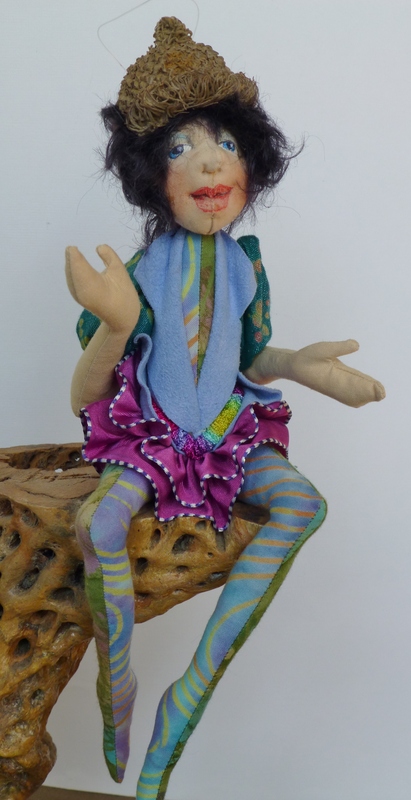 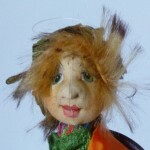 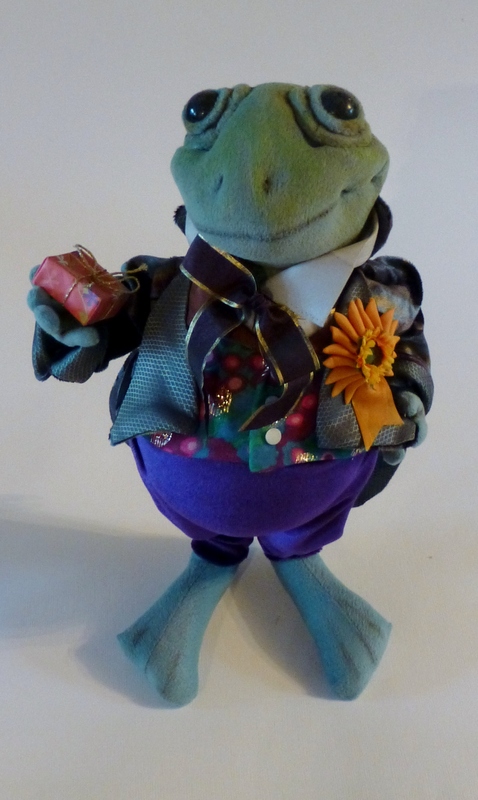 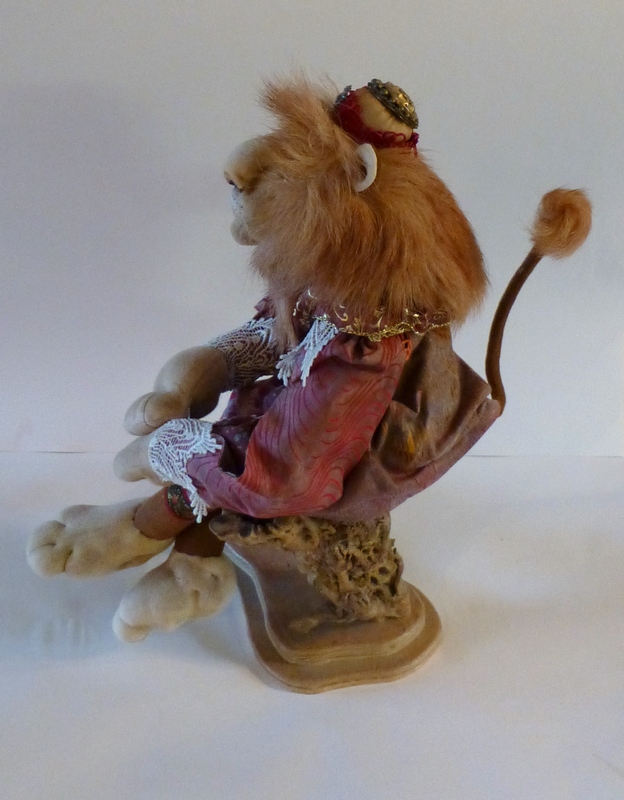 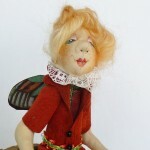 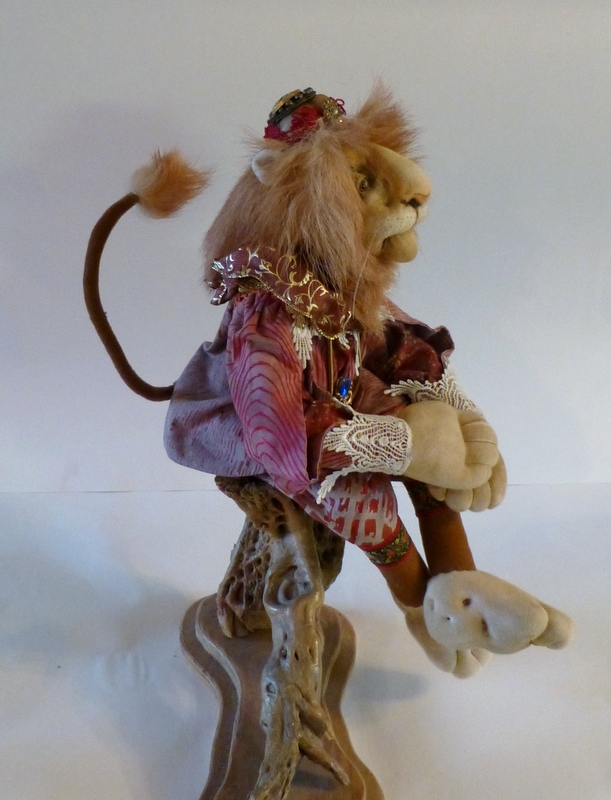 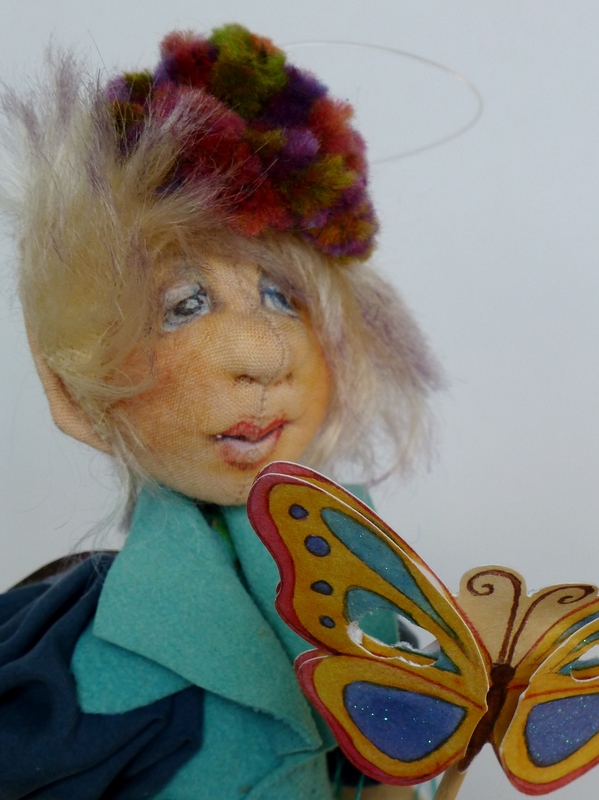 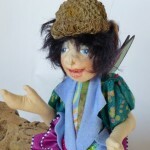 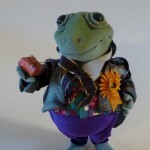 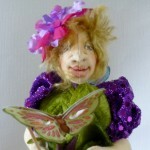 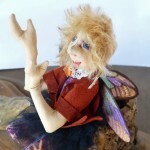 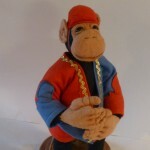 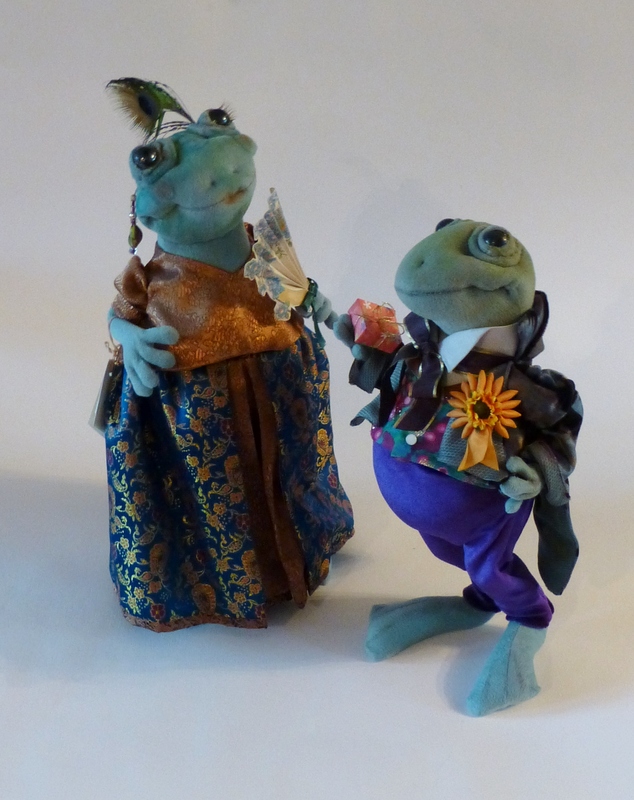 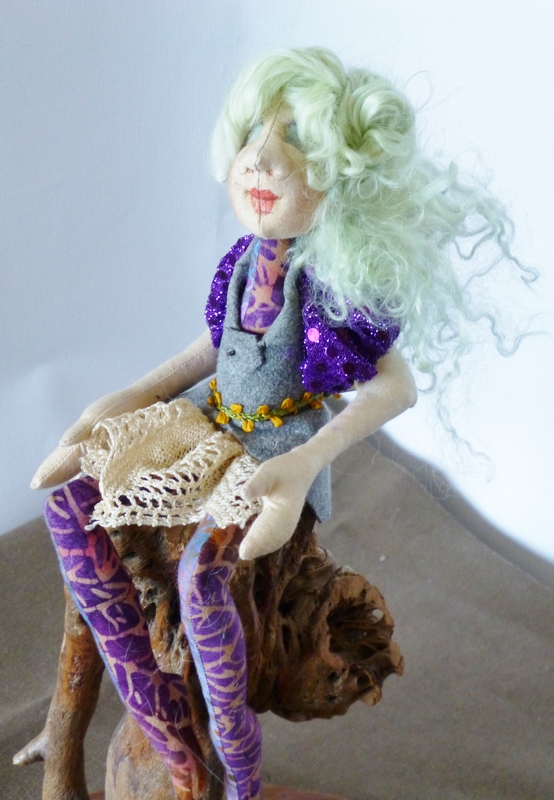 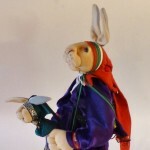 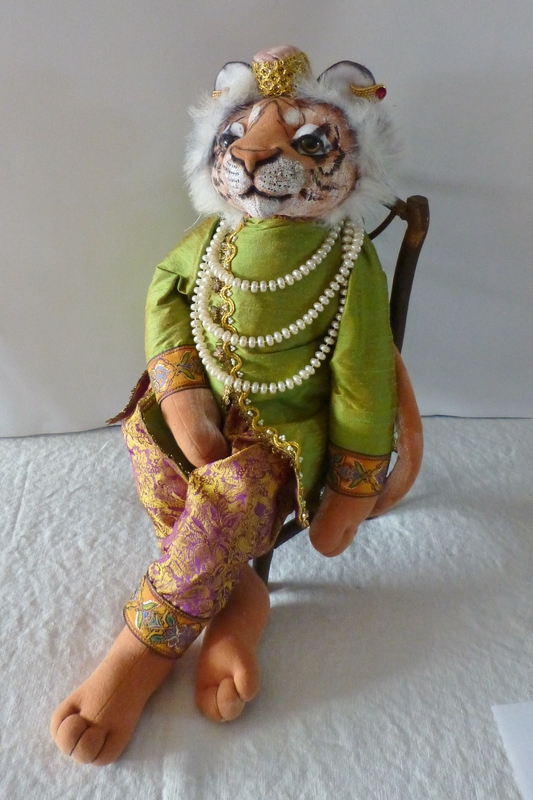 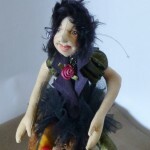 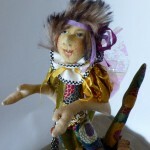 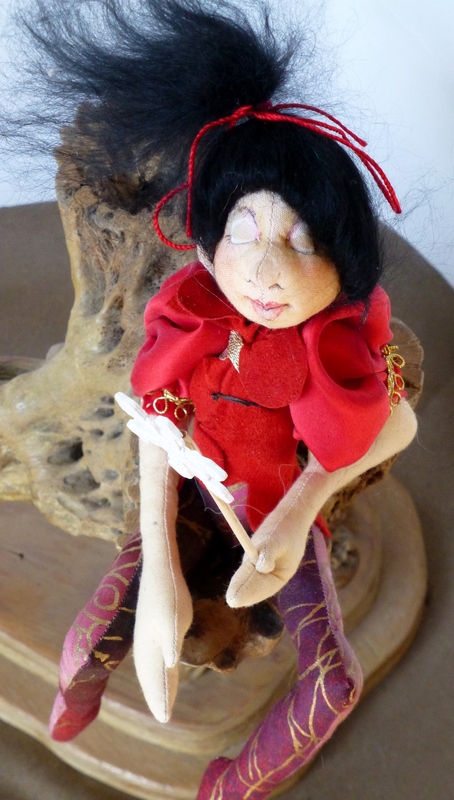 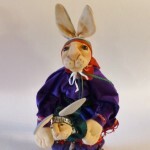 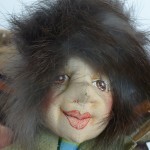 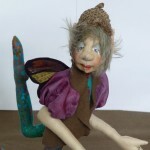 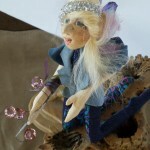 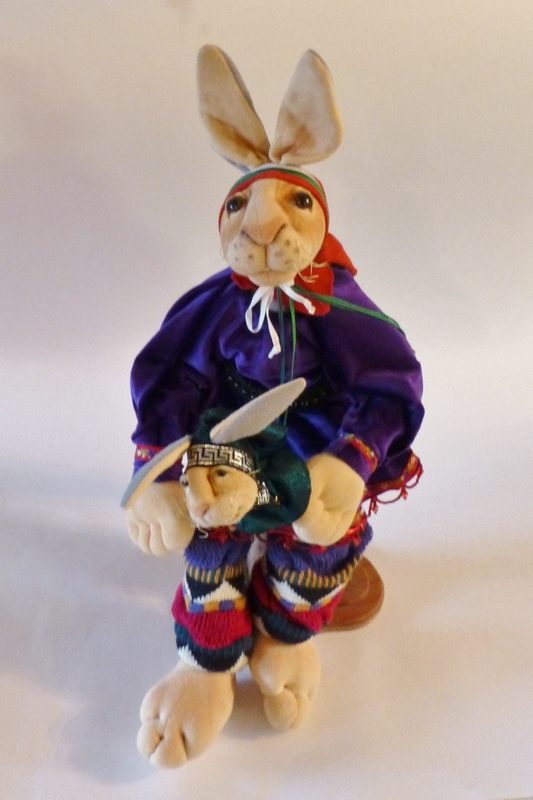 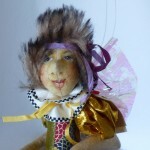 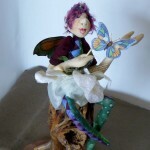 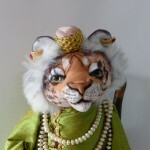 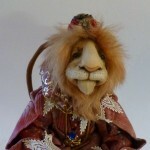 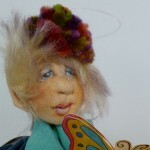 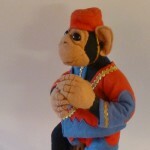 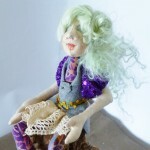 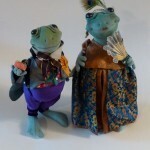 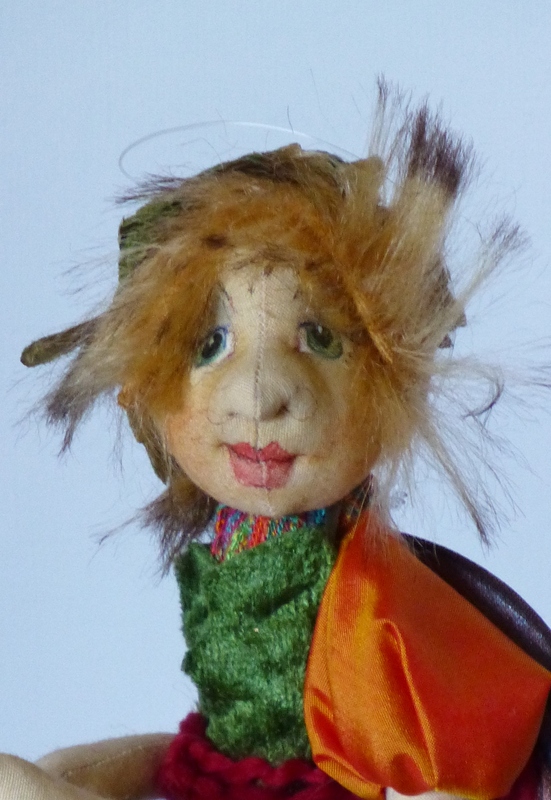 She measures 14.5″ from hat to tip of toe and sits neatly on the edge of a shelf or glass. 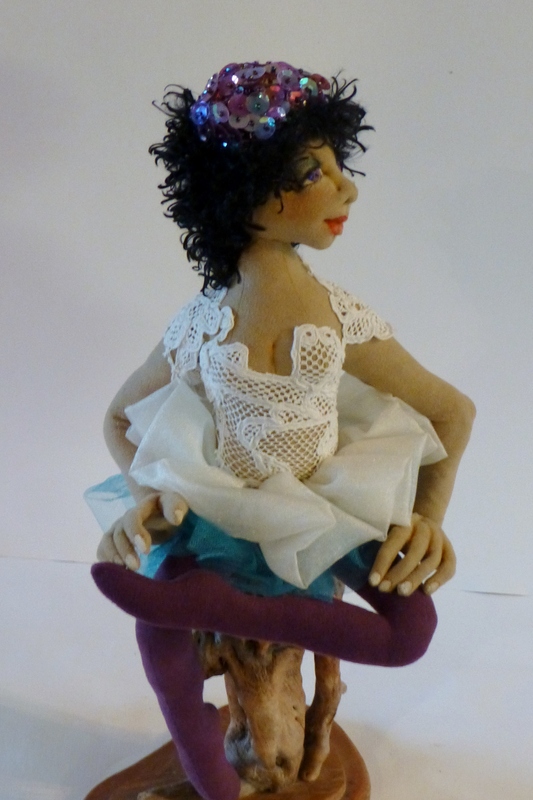 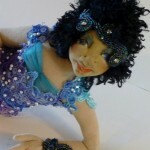 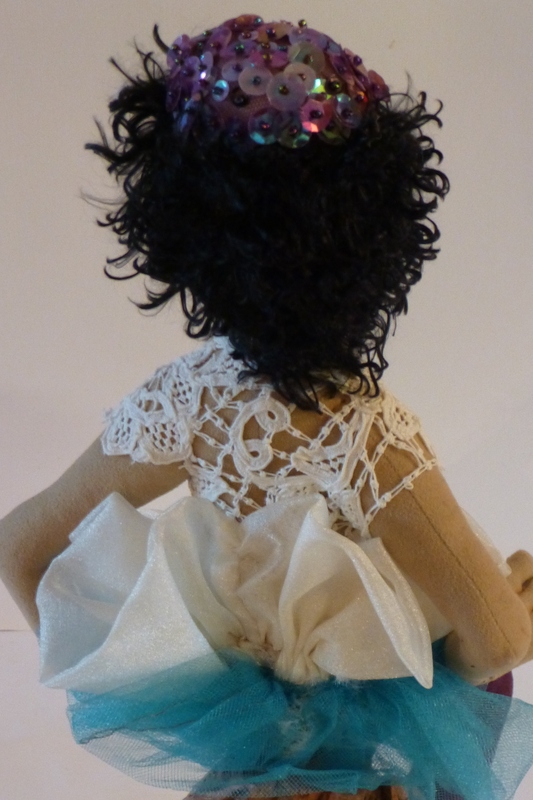 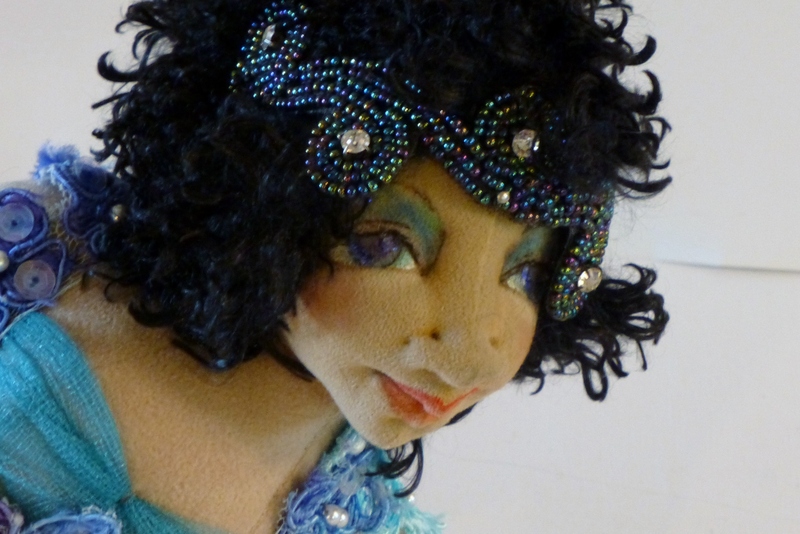 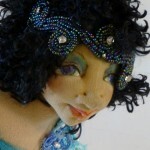 She measures 11″ from head to tip of toe and is free standing in an arched back-flip. 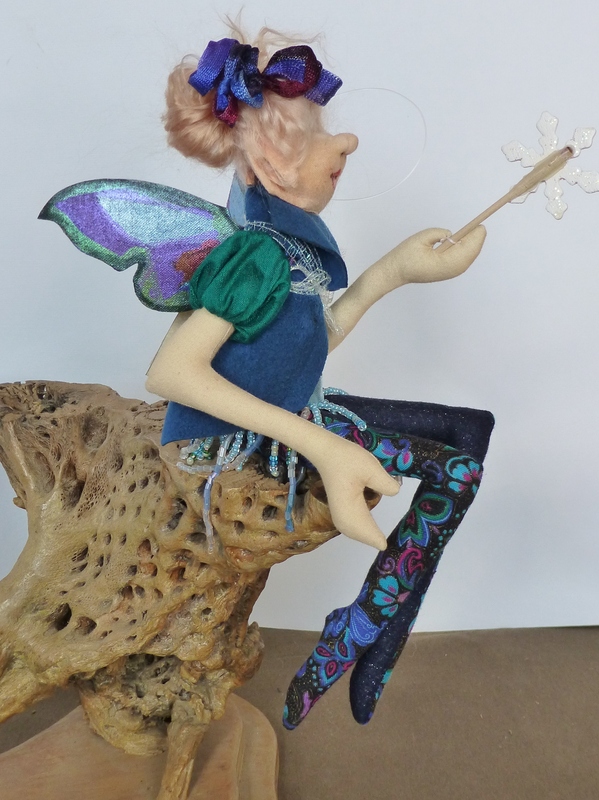 She measures 15″ from head to tip of toe and reclines. 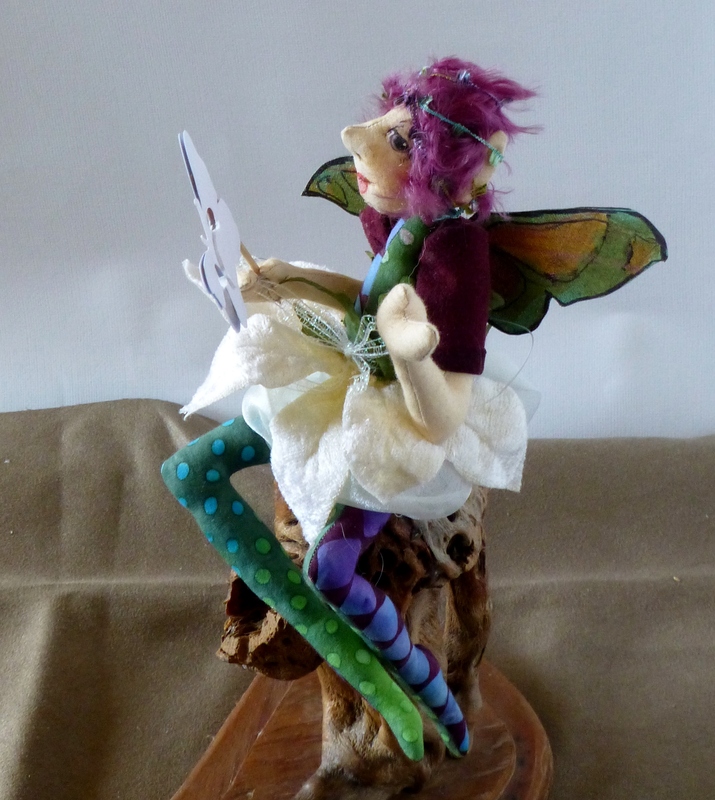 They measure 11.5″ high and are both free standing. 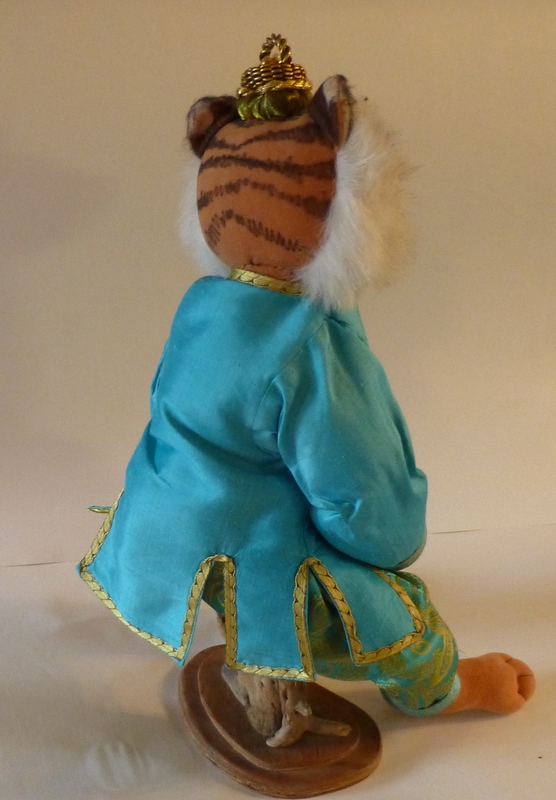 He measures 19″ from head to tip of toe. 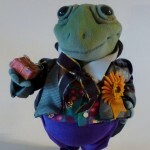 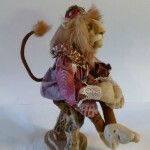 He is dressed in Batiks, Lace and embroidered trims. 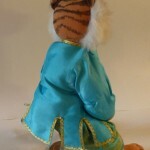 He measures 18″ from head to tip of toe. 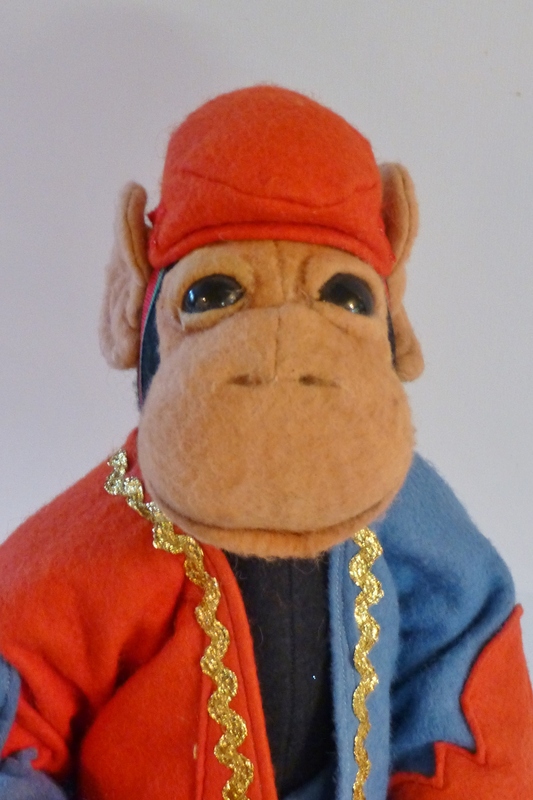 He is dressed in velour and ultra-suede. 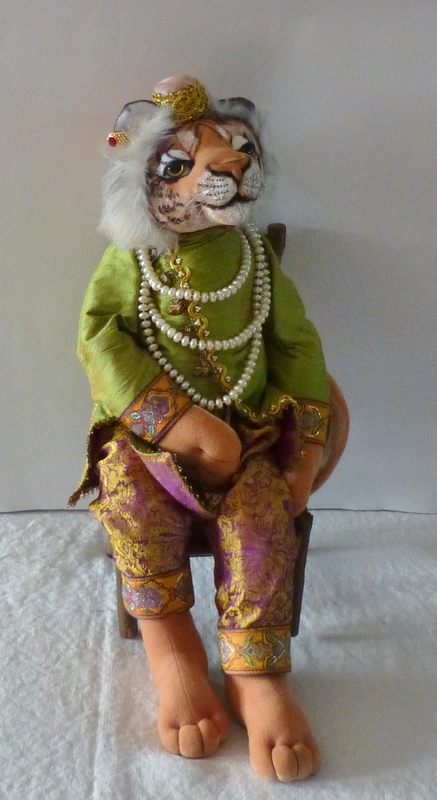 He measures 15″ from head to tip of toe. 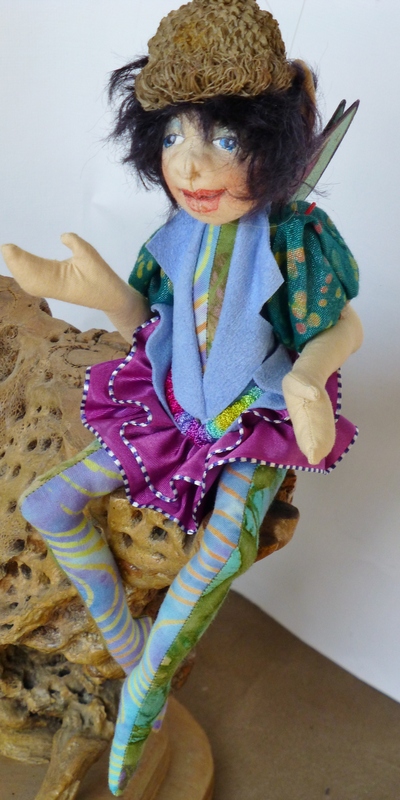 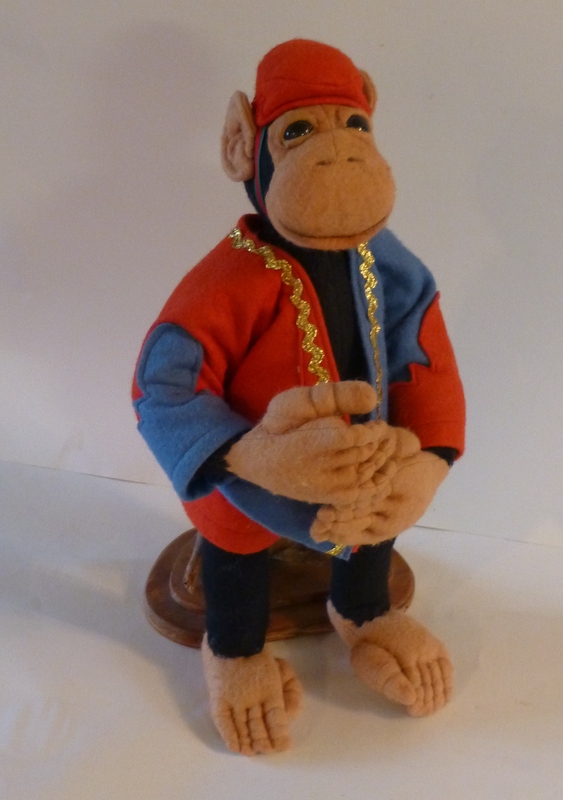 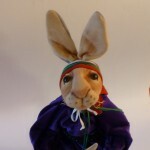 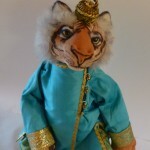 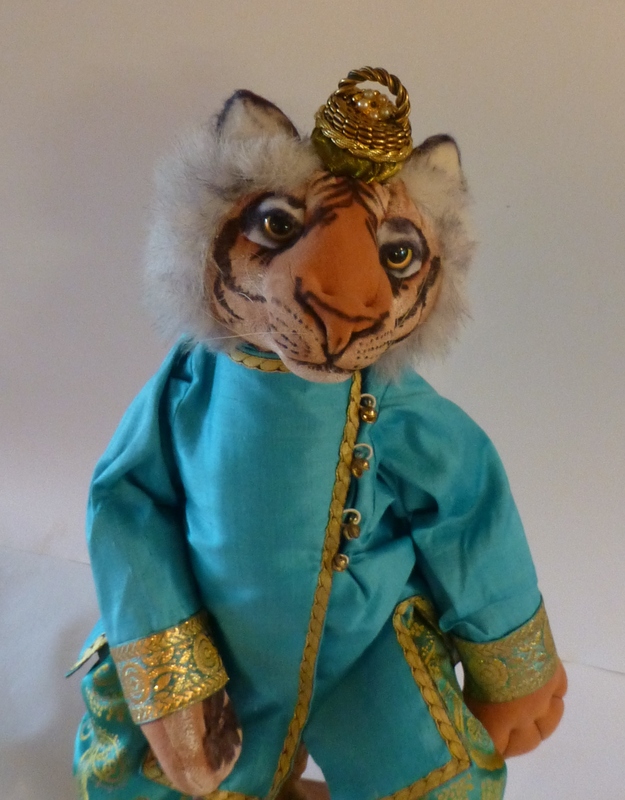 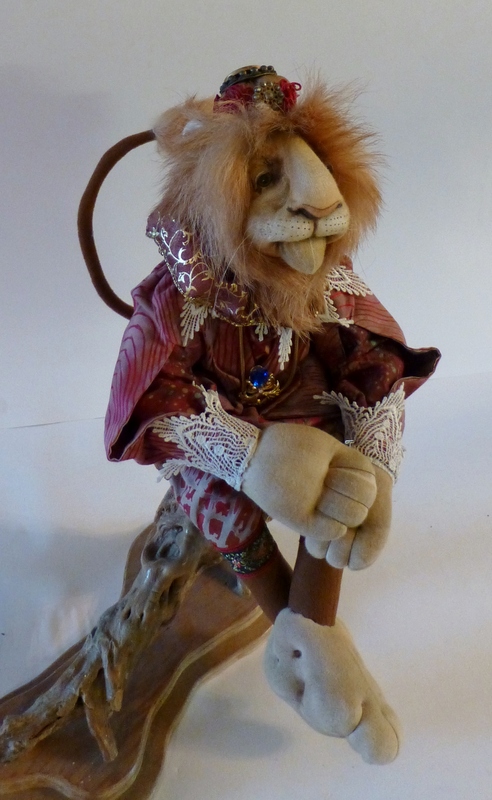 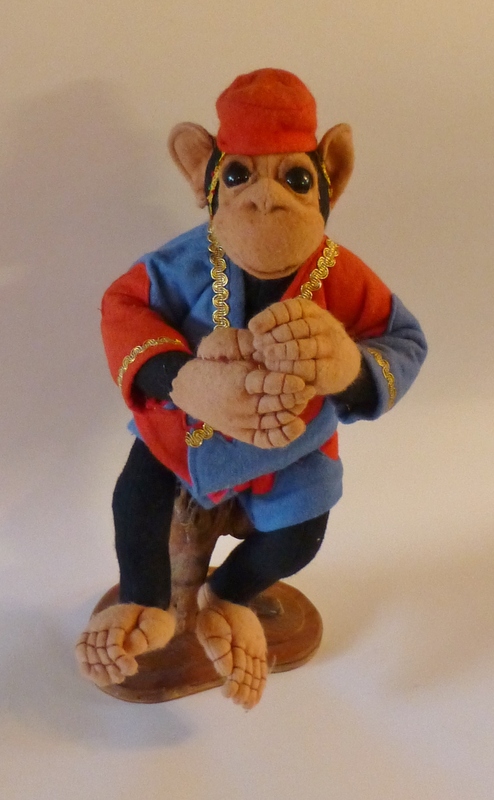 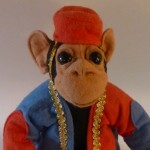 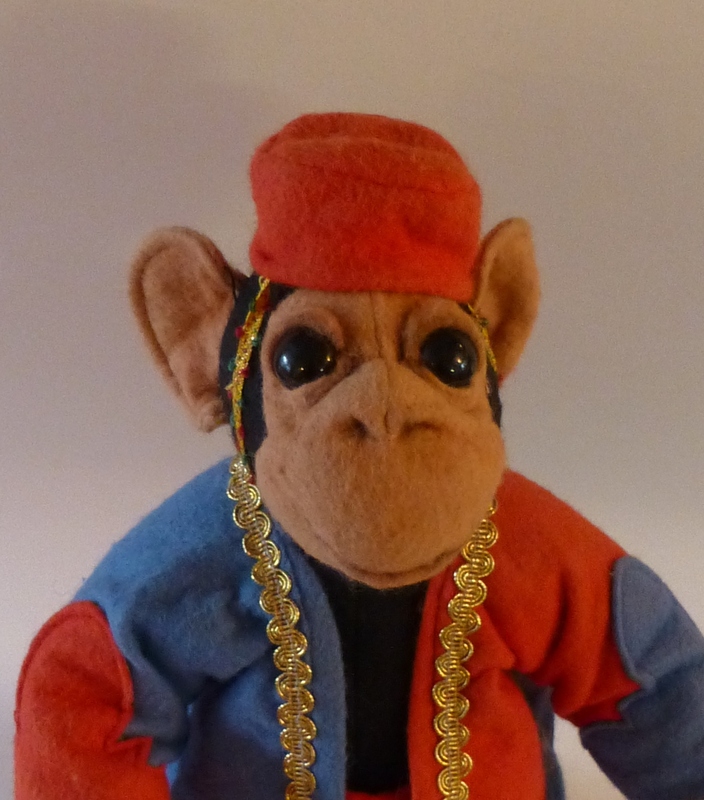 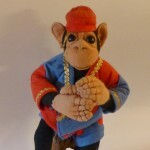 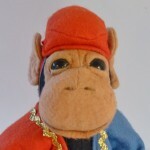 He is made of wool-blended felt and has glass eyes. 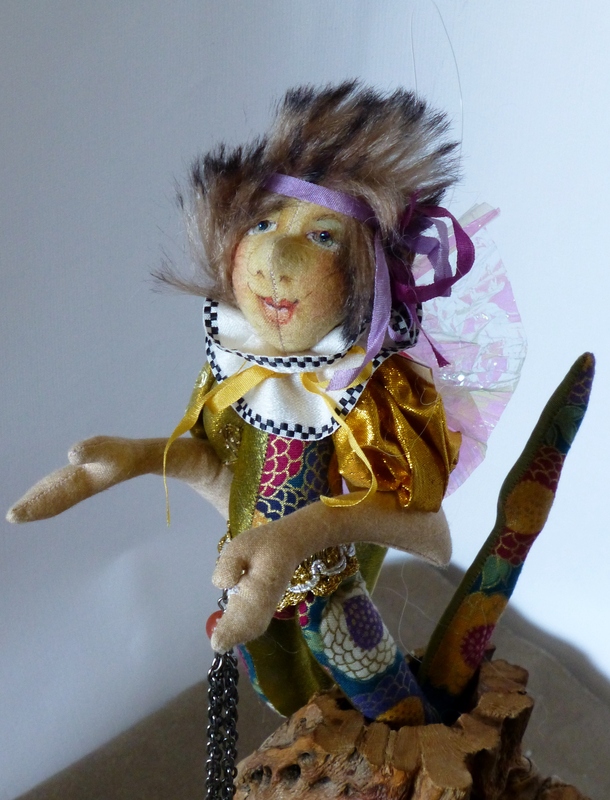 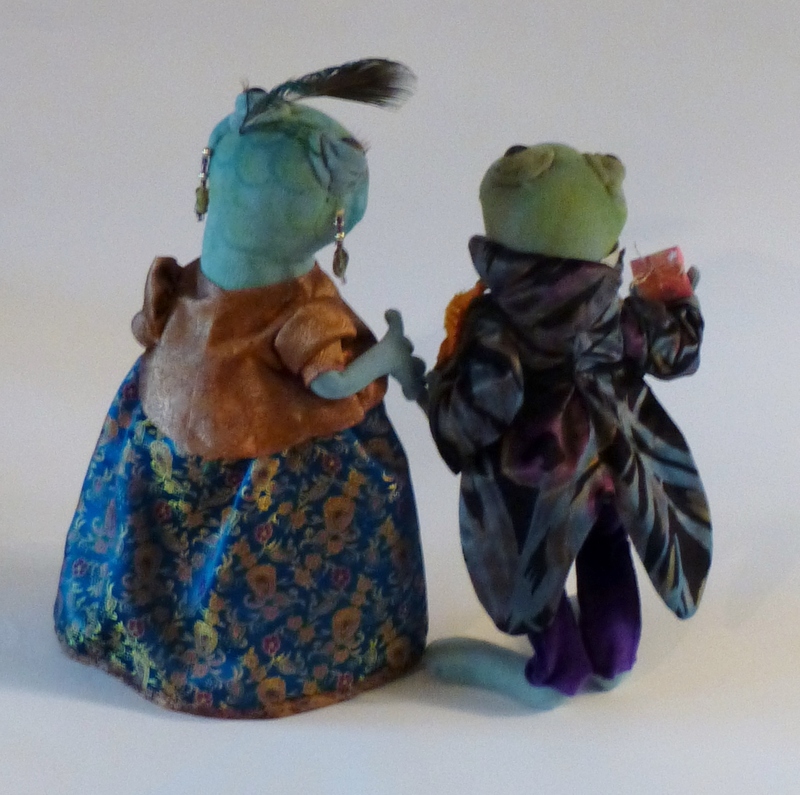 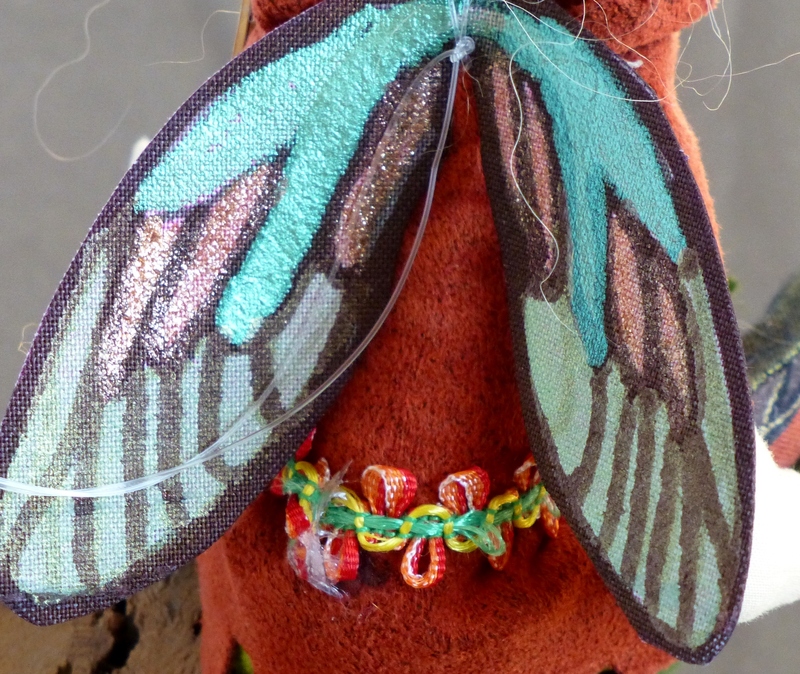 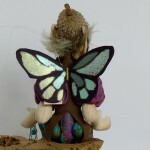 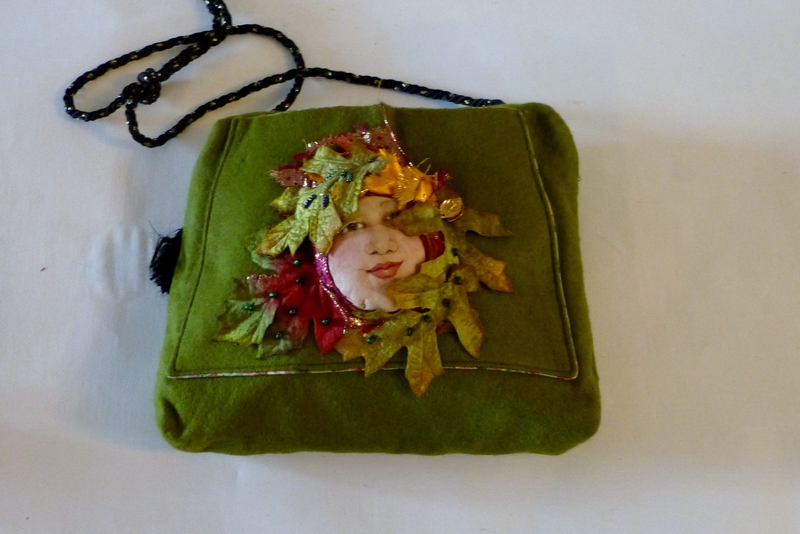 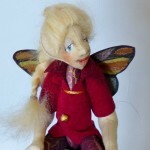 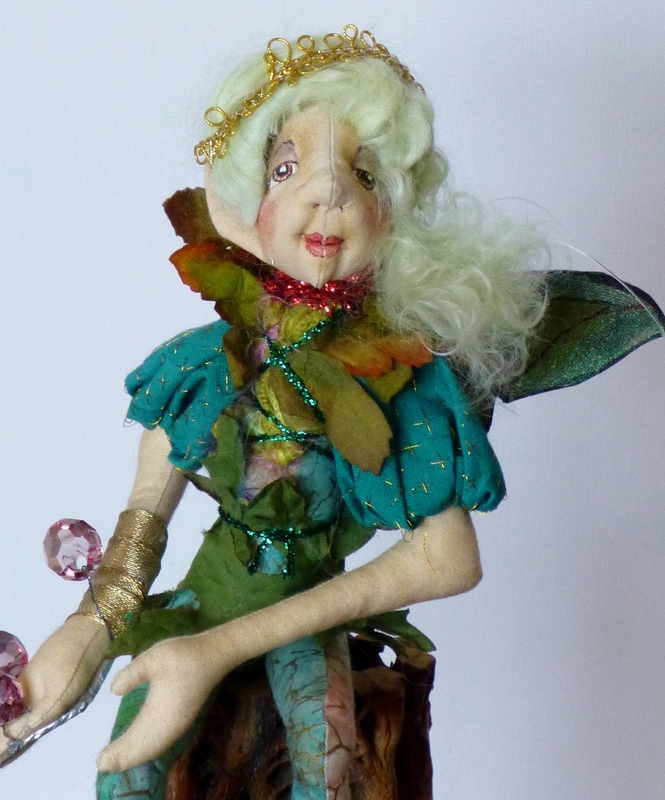 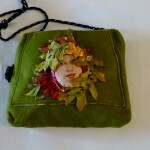 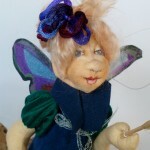 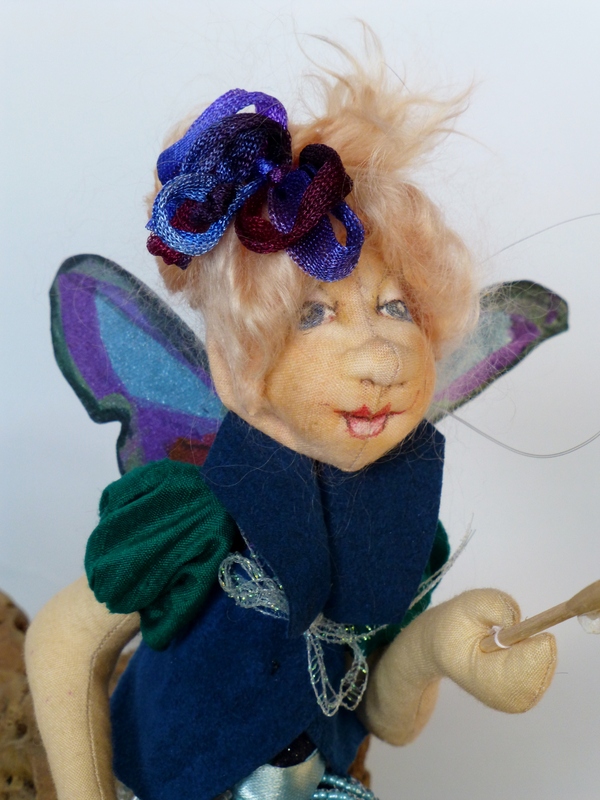 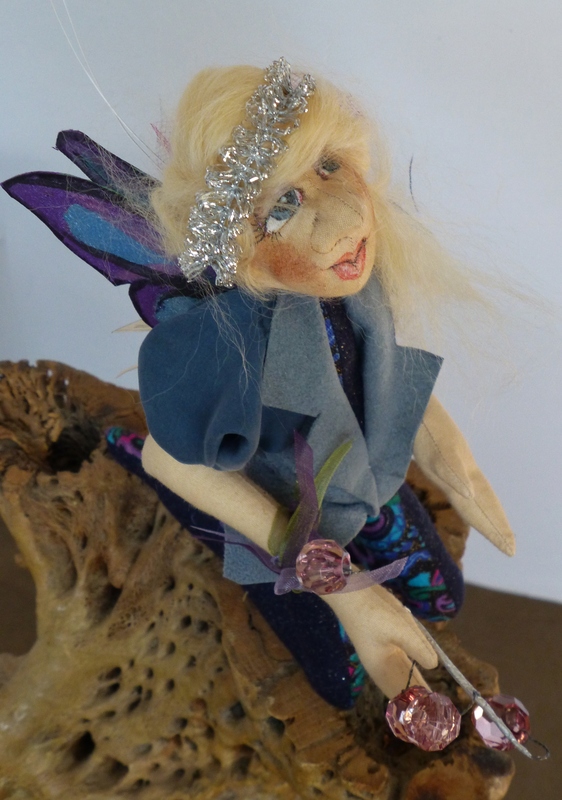 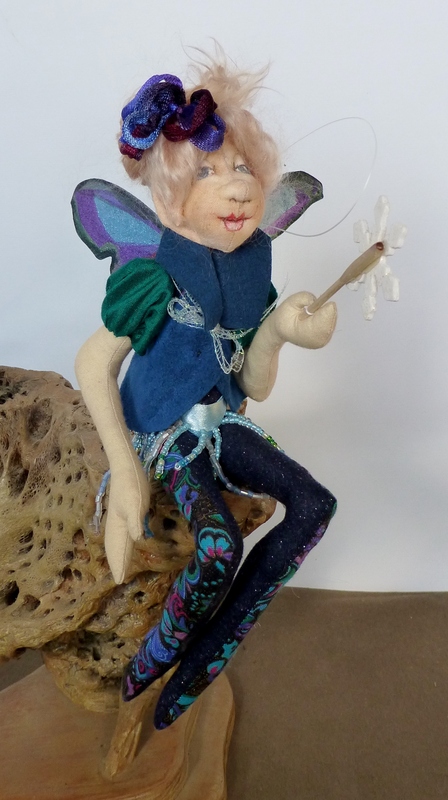 The purse is 7”x 8.5” x 1.5” and is made of felt and embellished with velvet leaves and seed beads.
. Each fairy is 8.5″ high from head to toe. 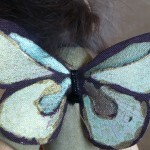 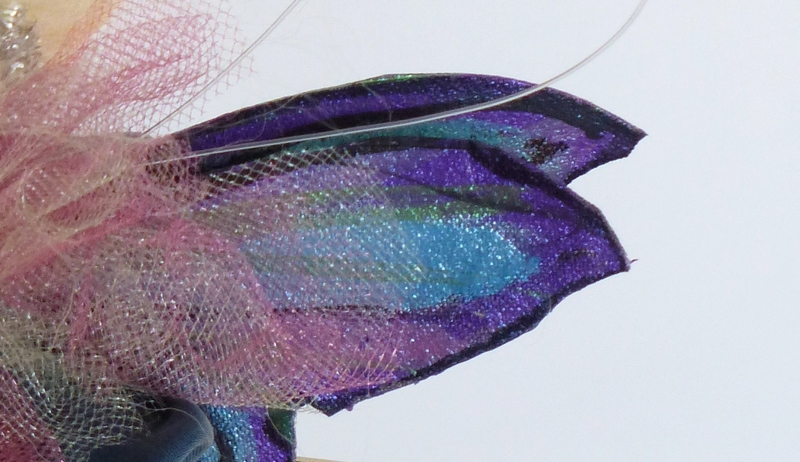 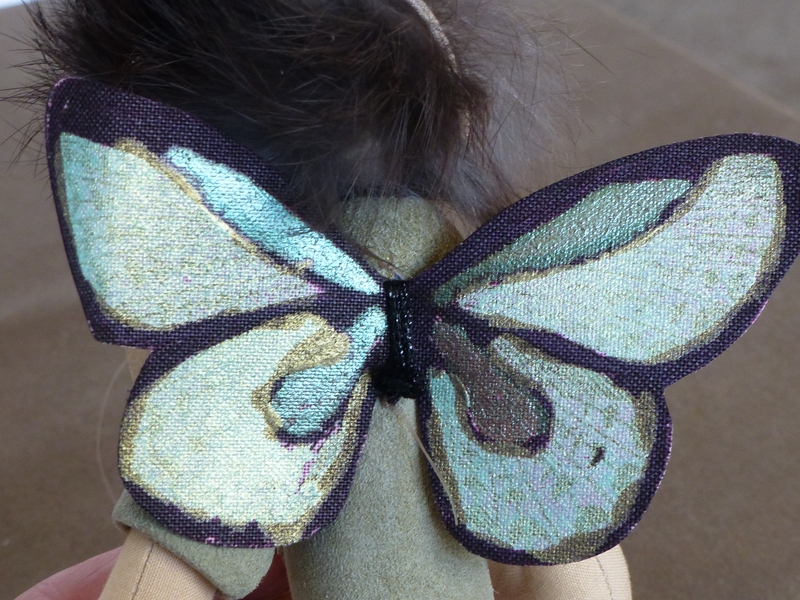 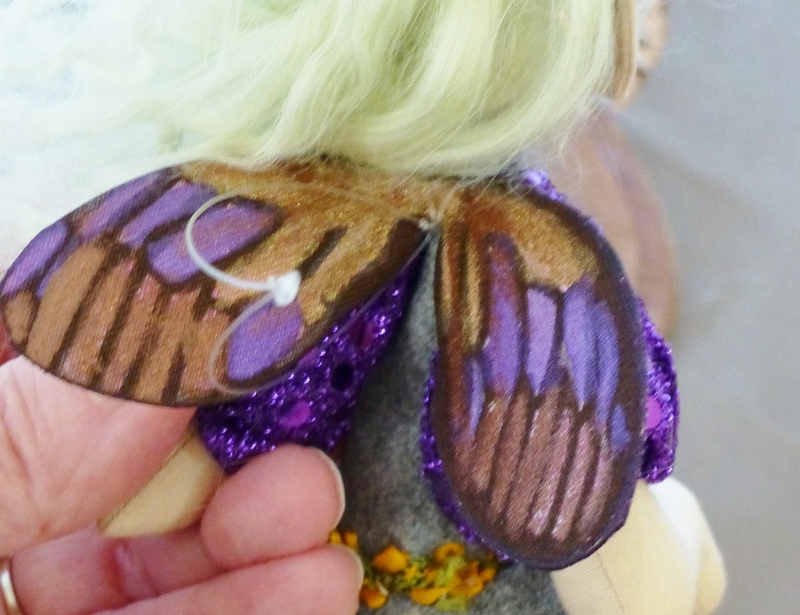 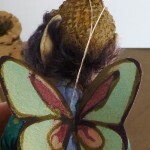 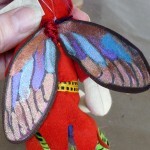 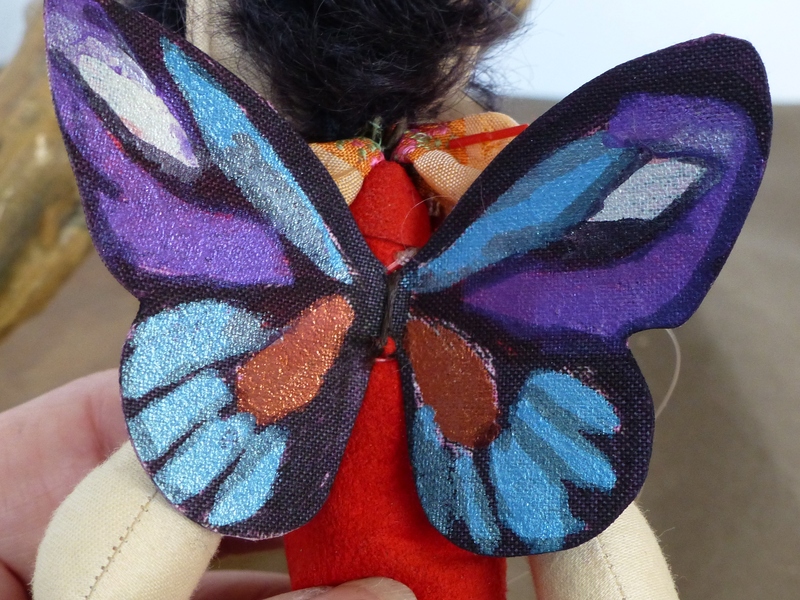 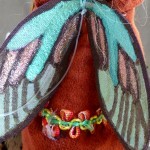 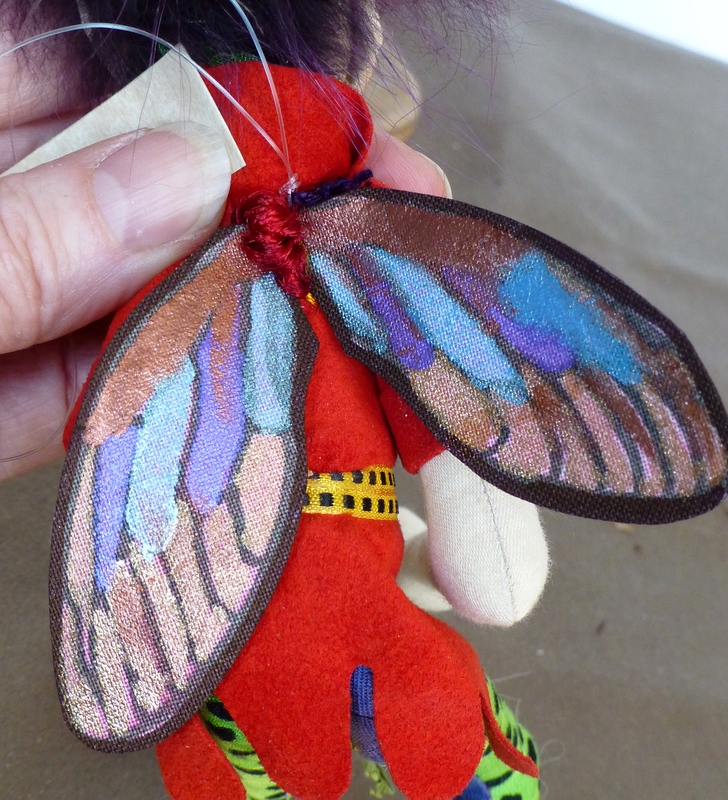 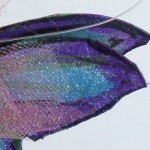 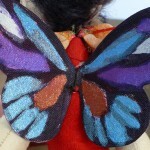 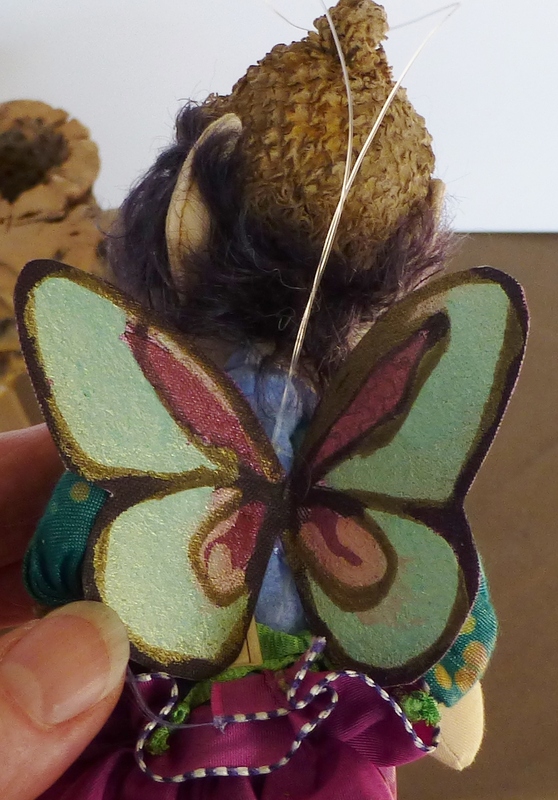 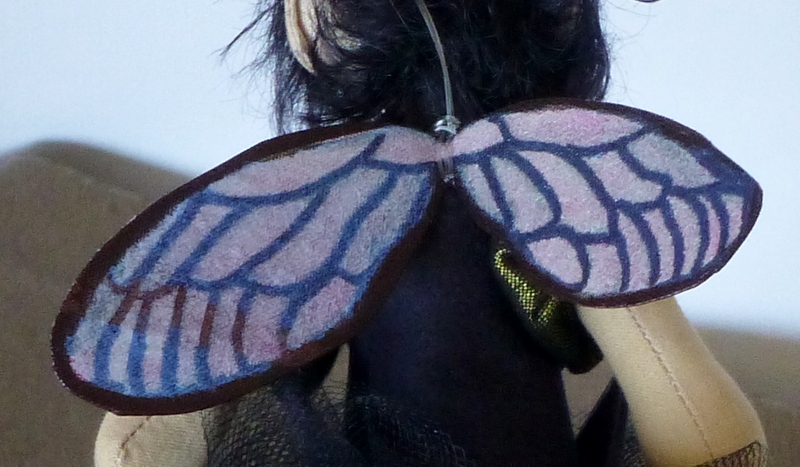 There are jointed at the shoulders and hip and hang from a nylon string behind the wings. 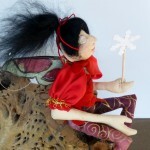 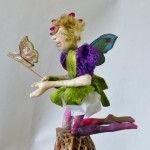 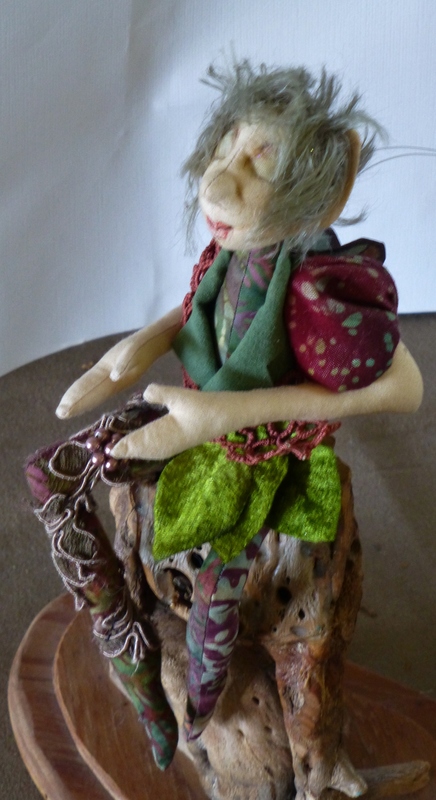 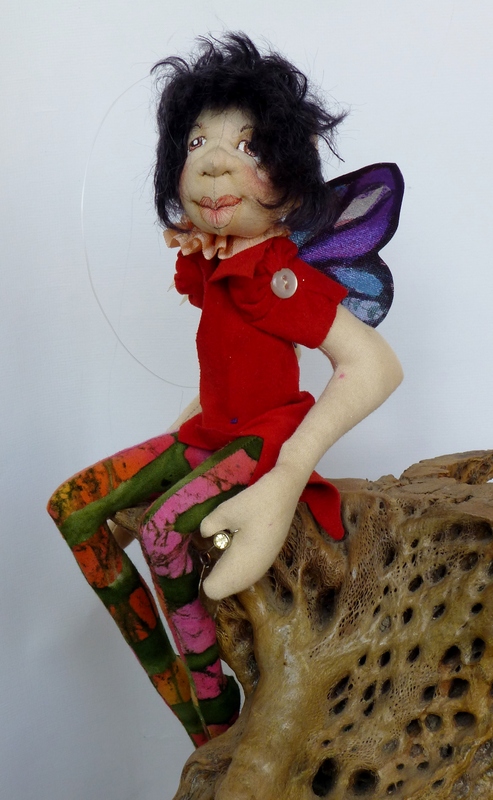 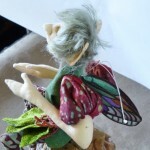 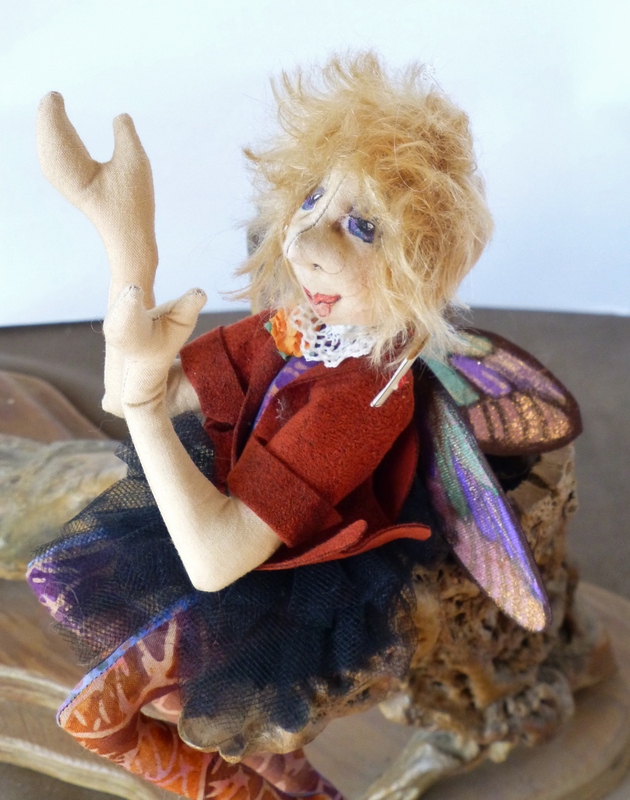 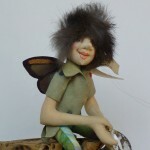 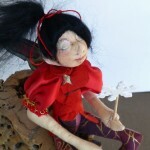 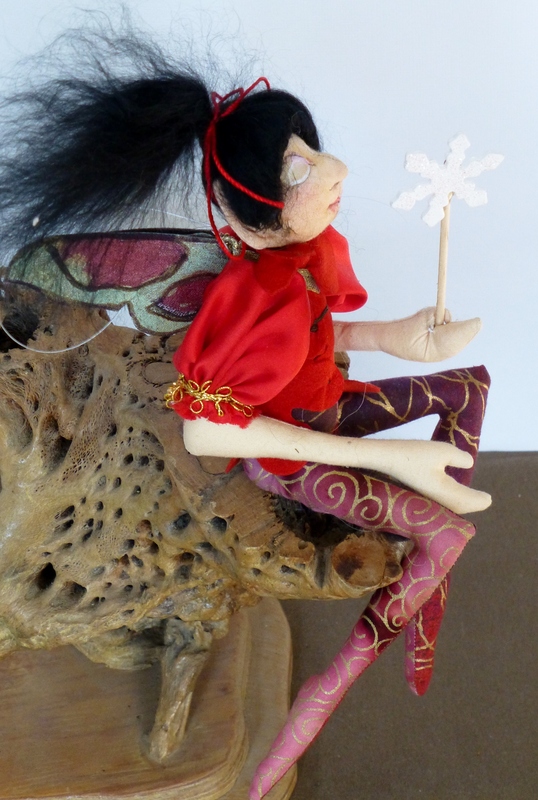 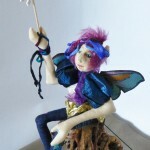 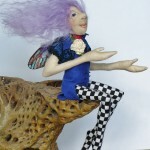 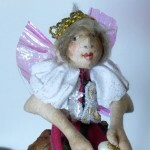 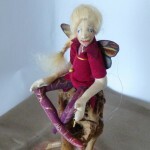 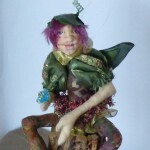 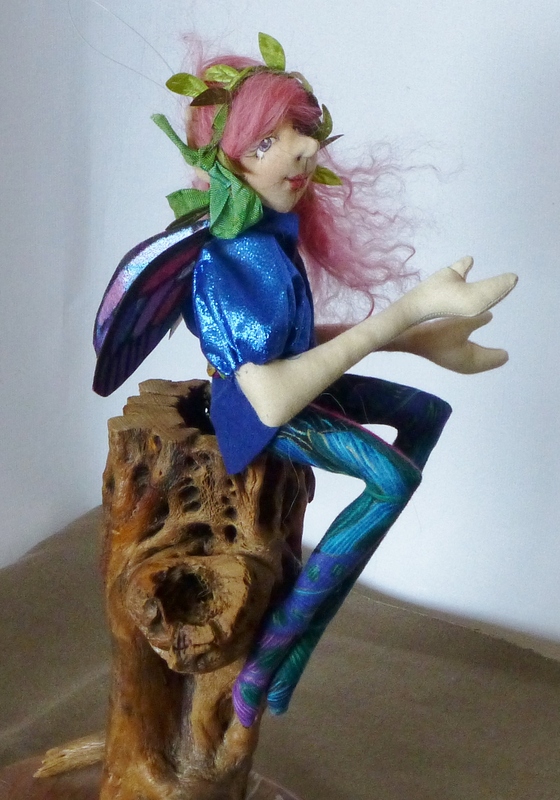 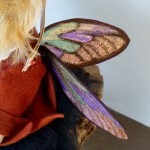 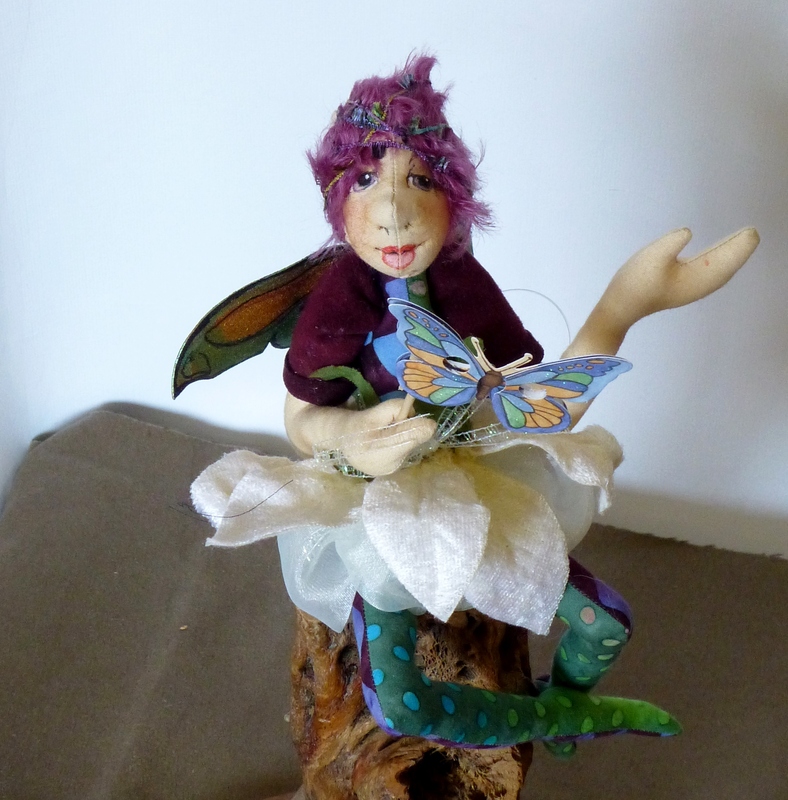 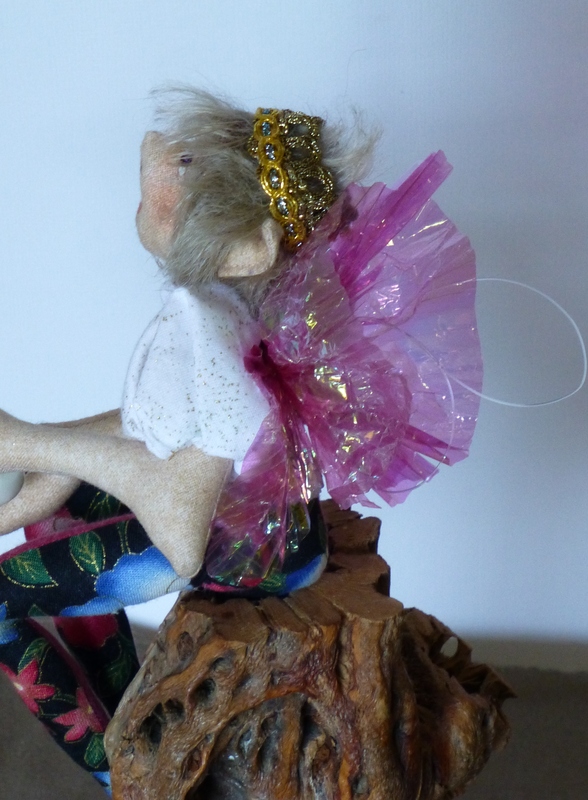 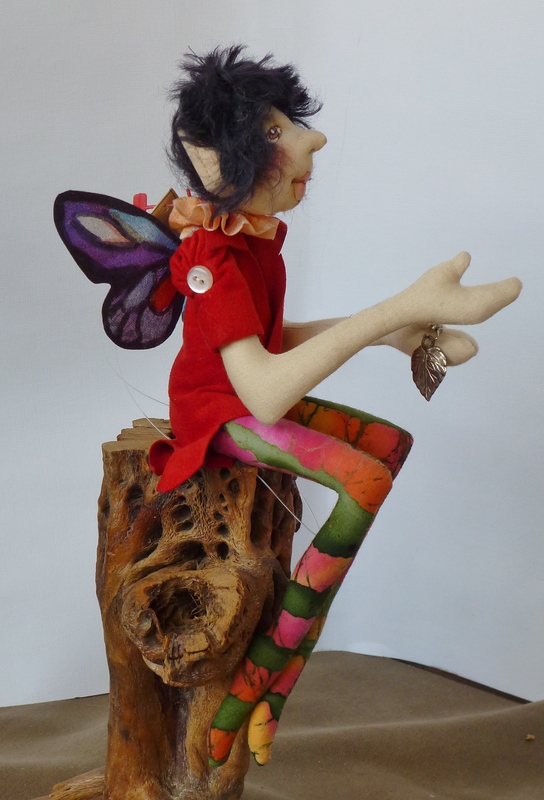 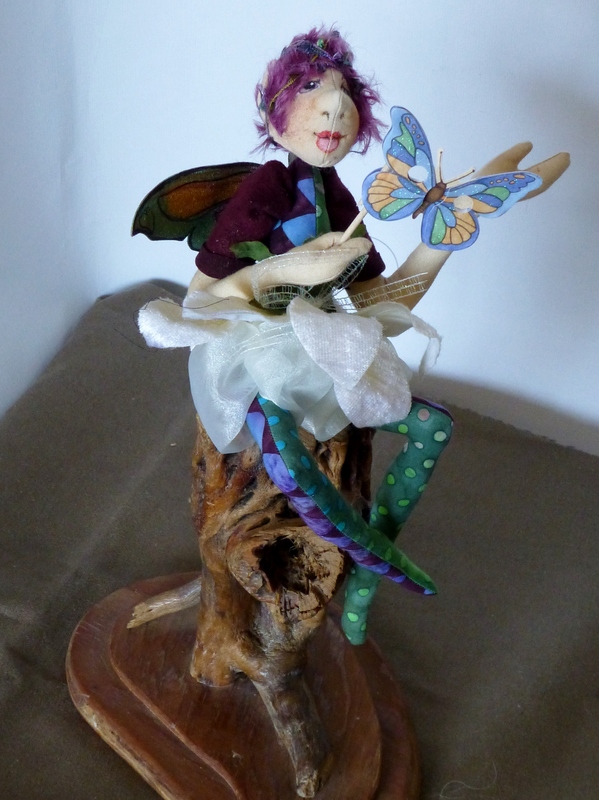 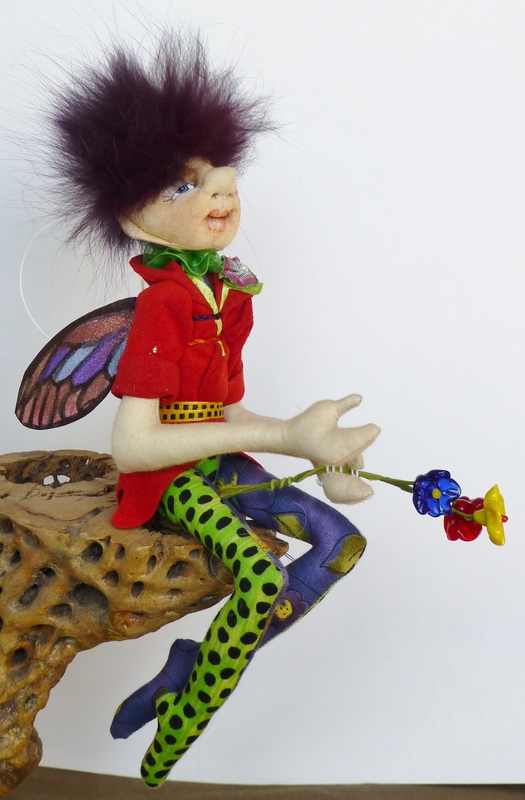 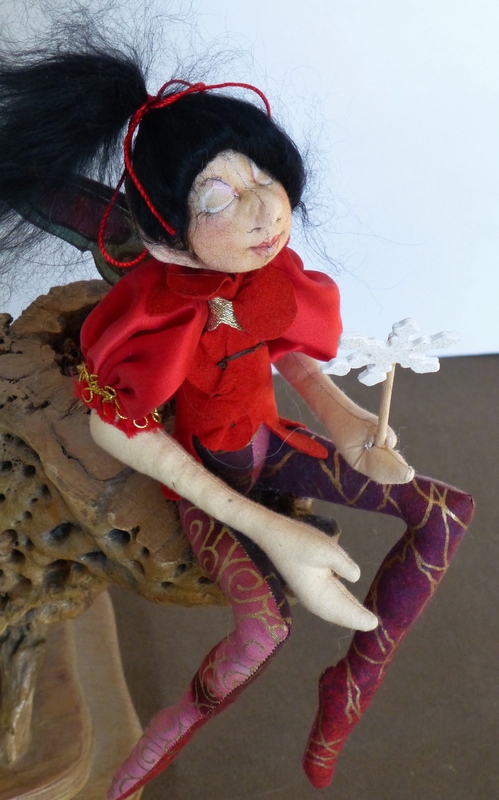 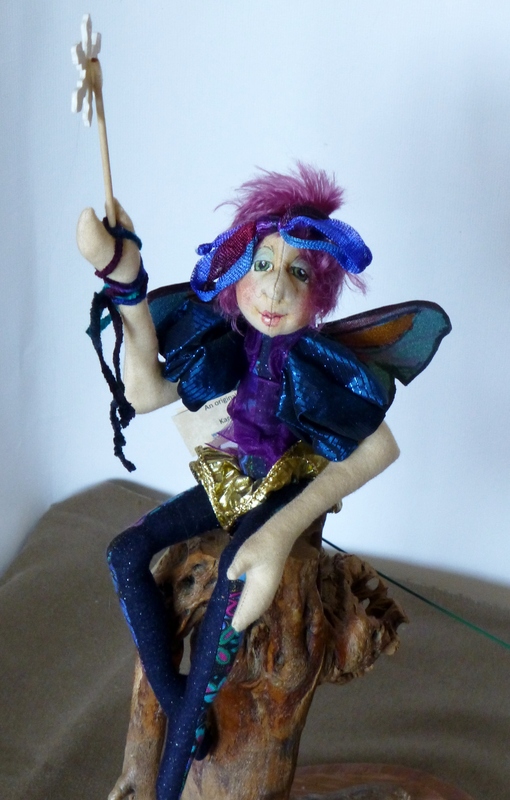 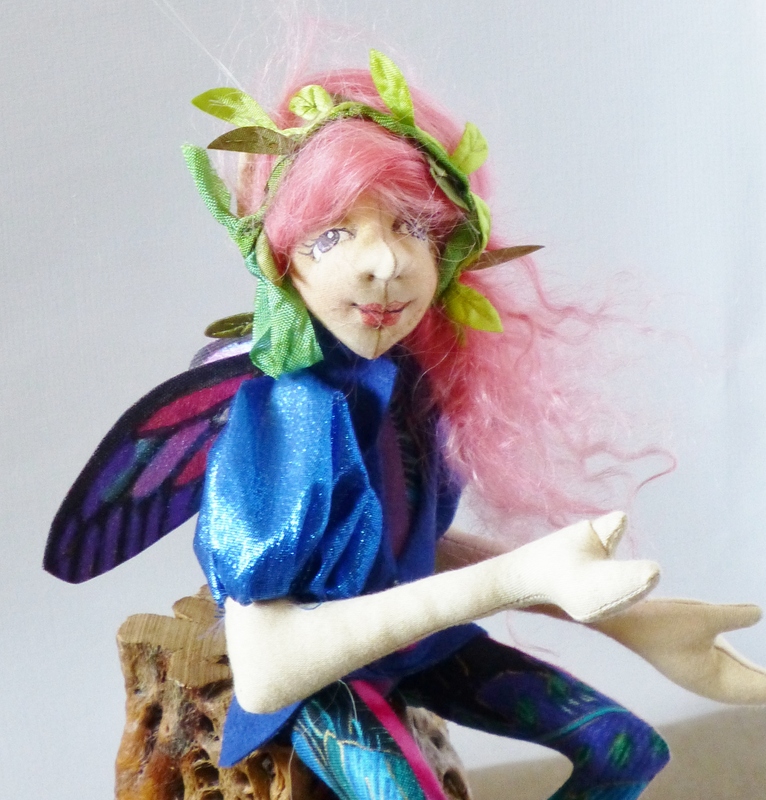 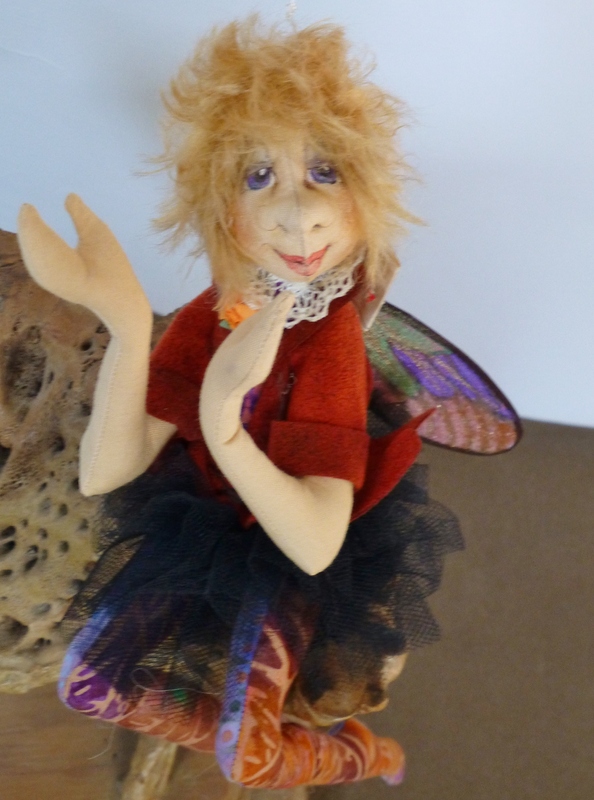 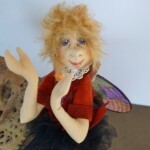 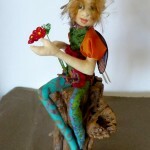 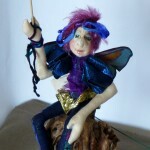 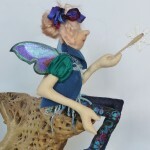 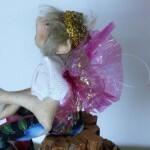 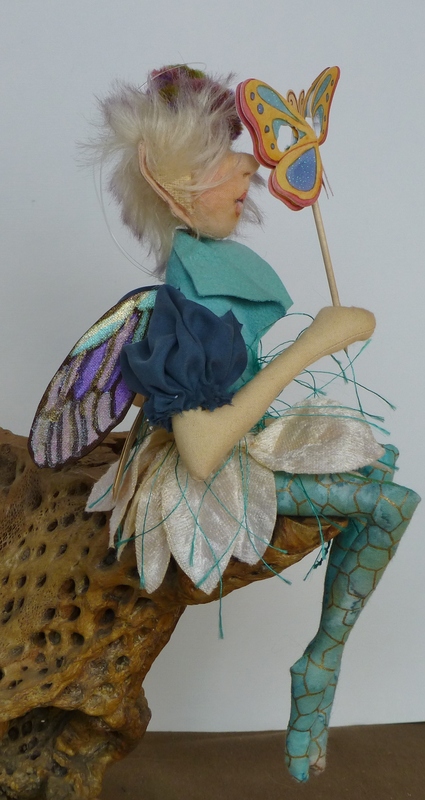 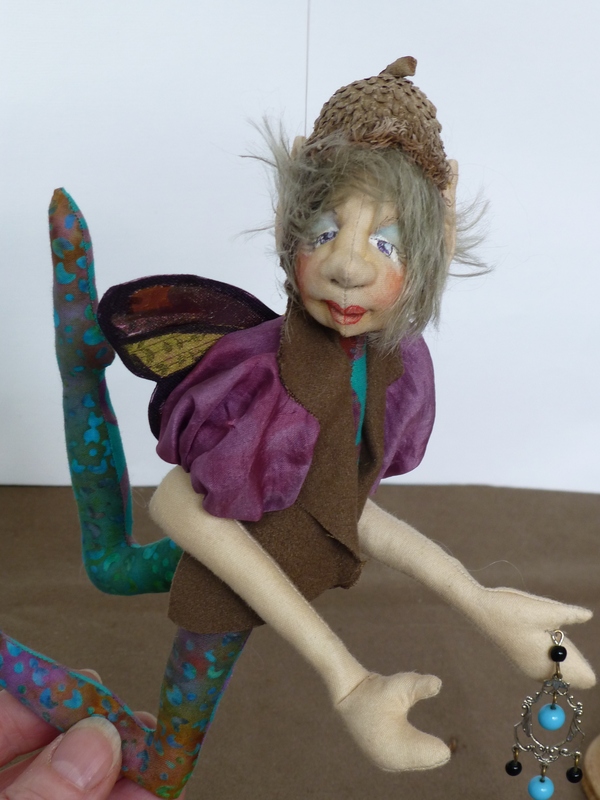 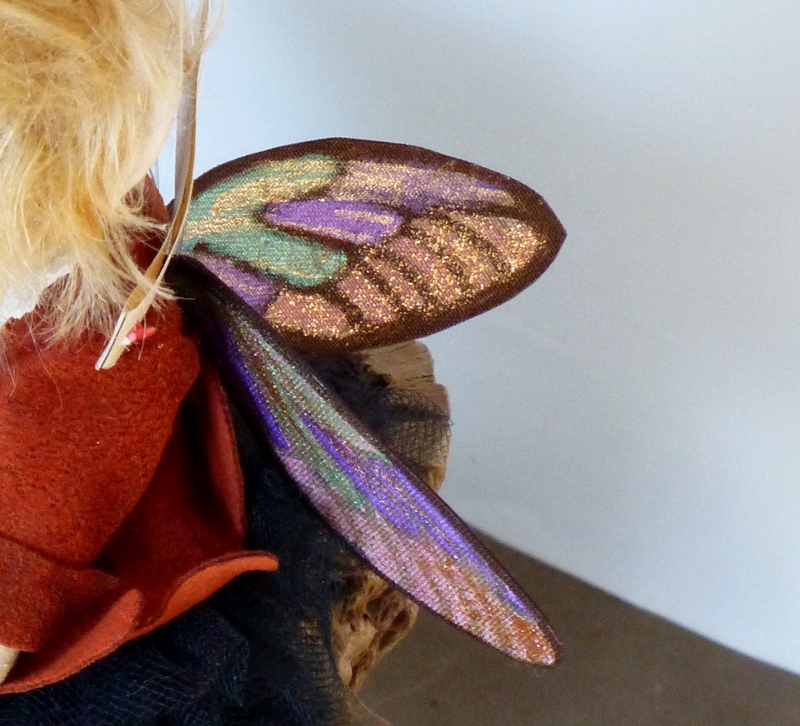 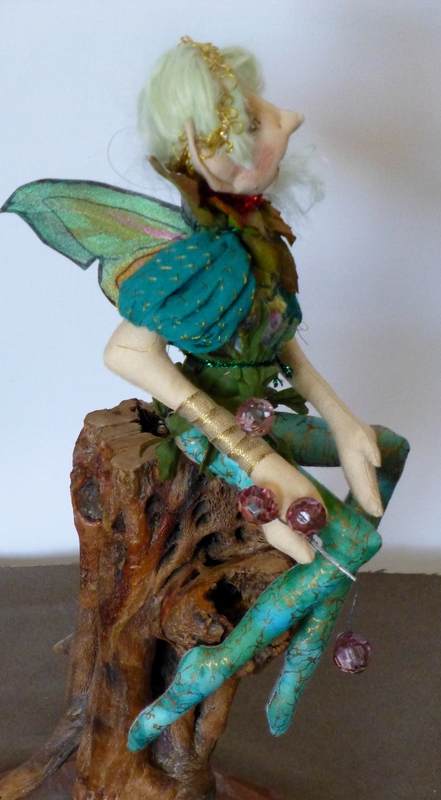 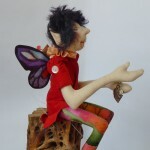 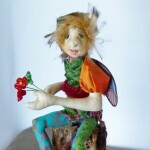 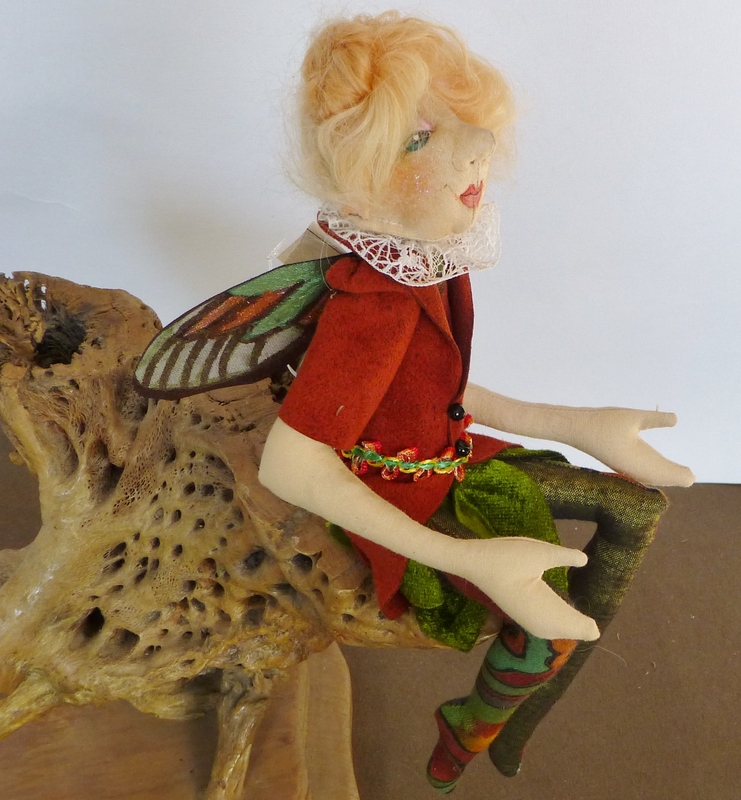 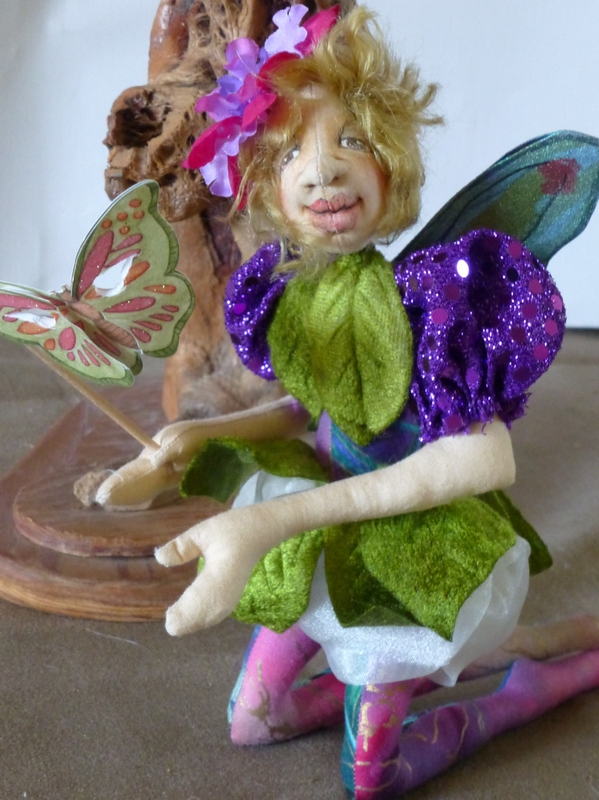 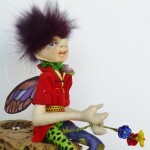 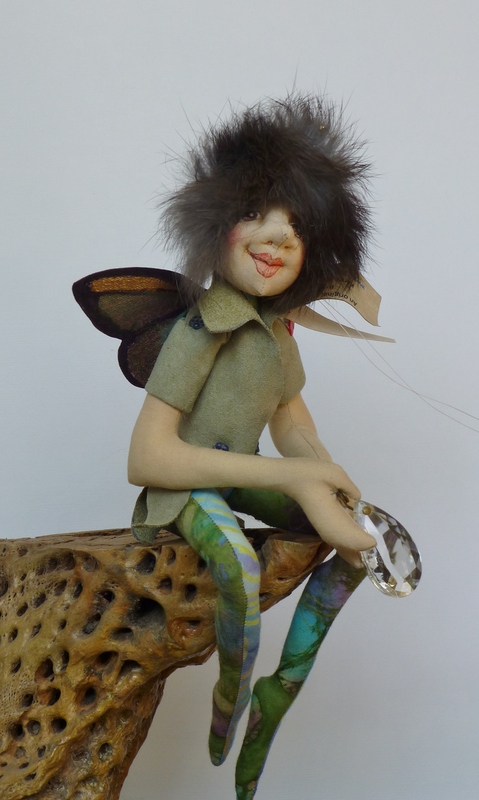 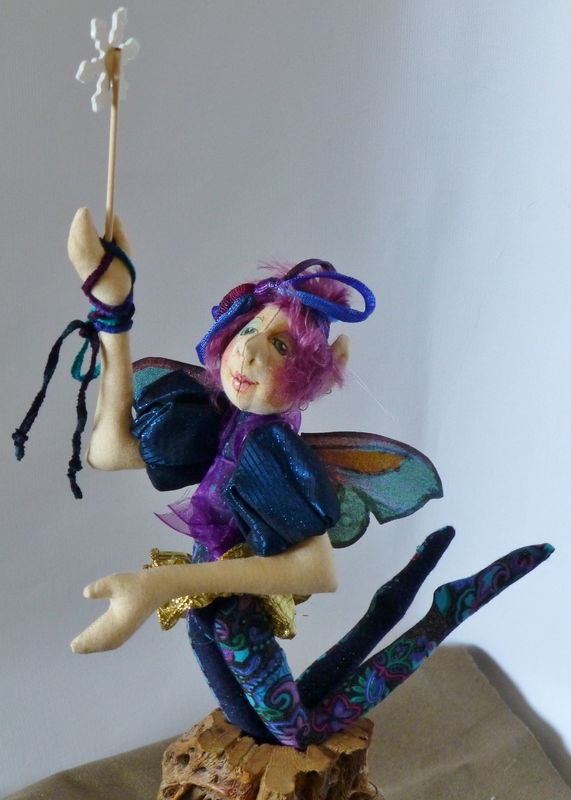 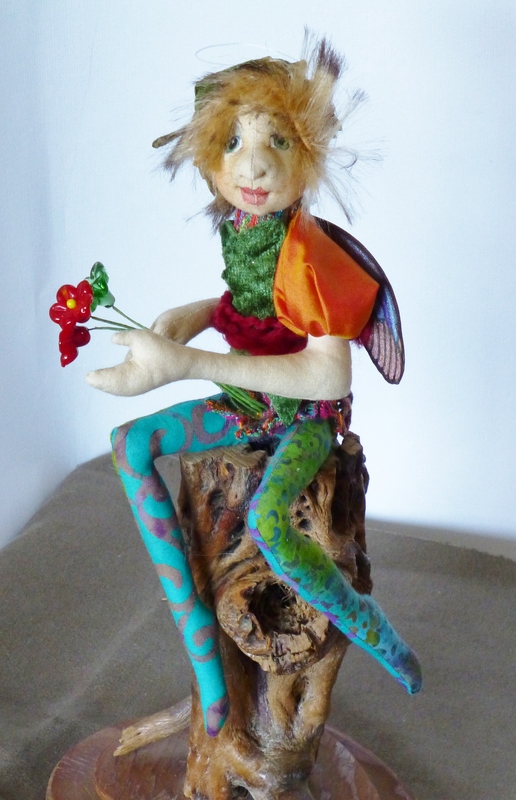 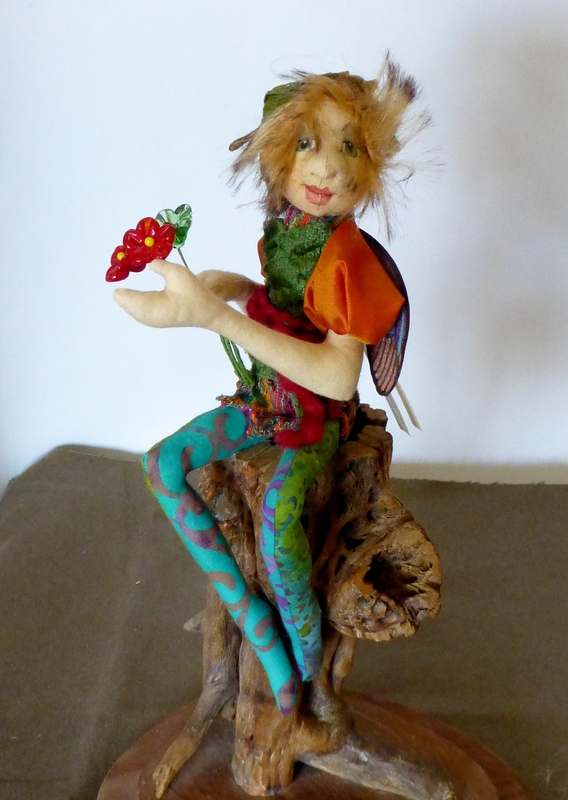 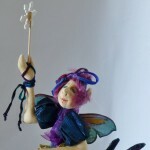 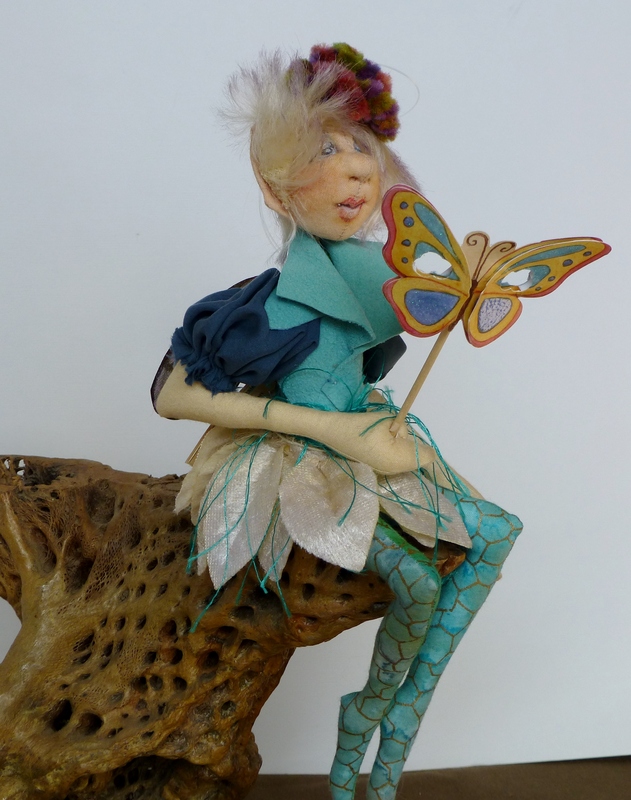 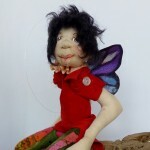 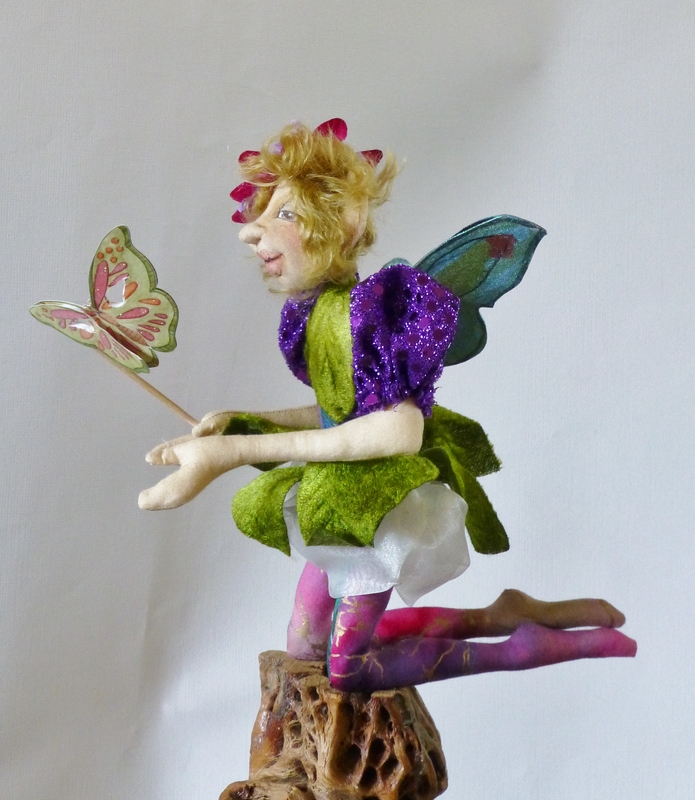 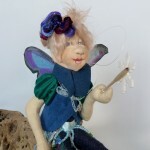 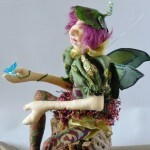 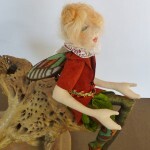 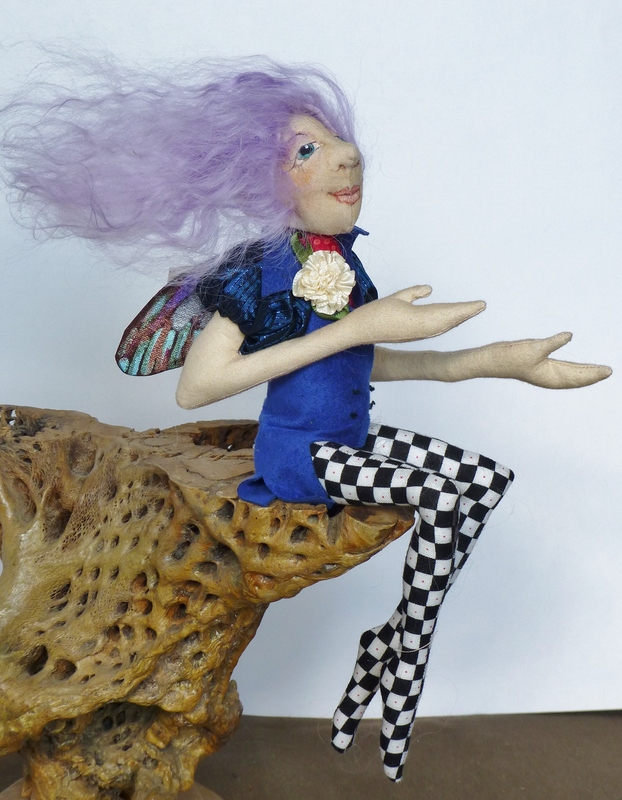 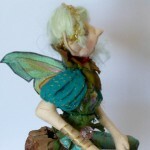 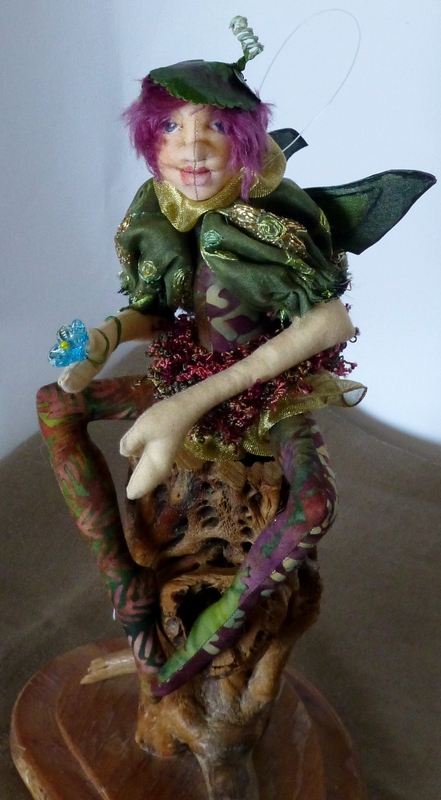 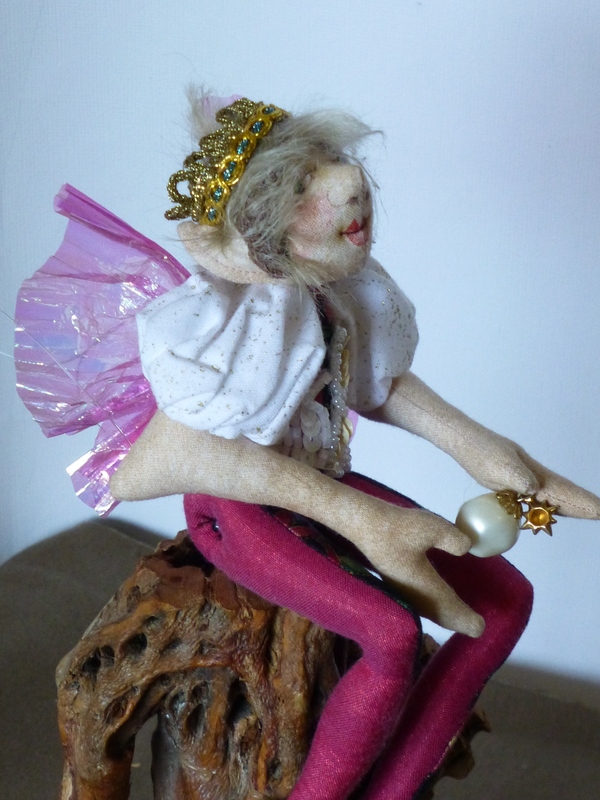 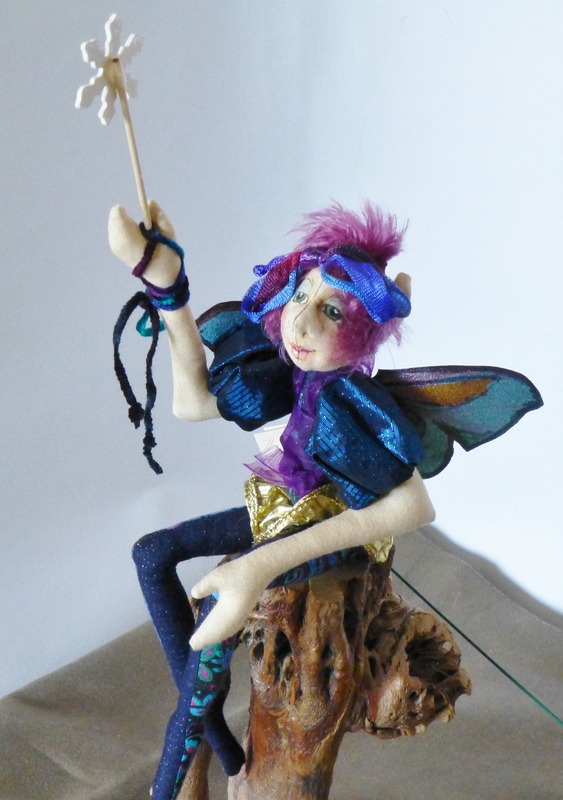 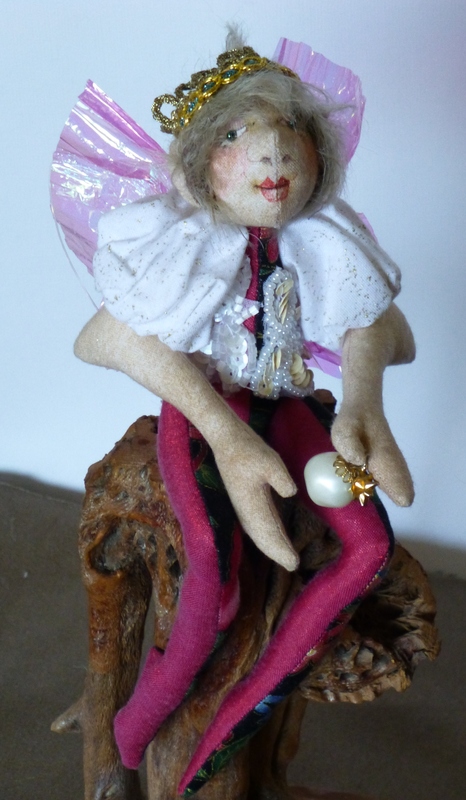 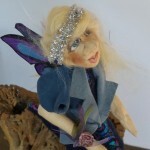 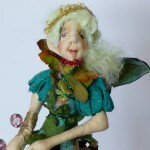 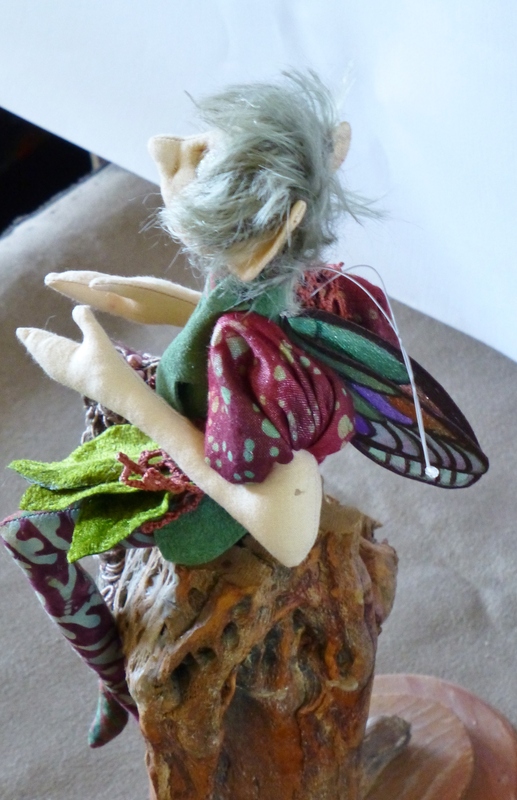 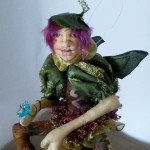 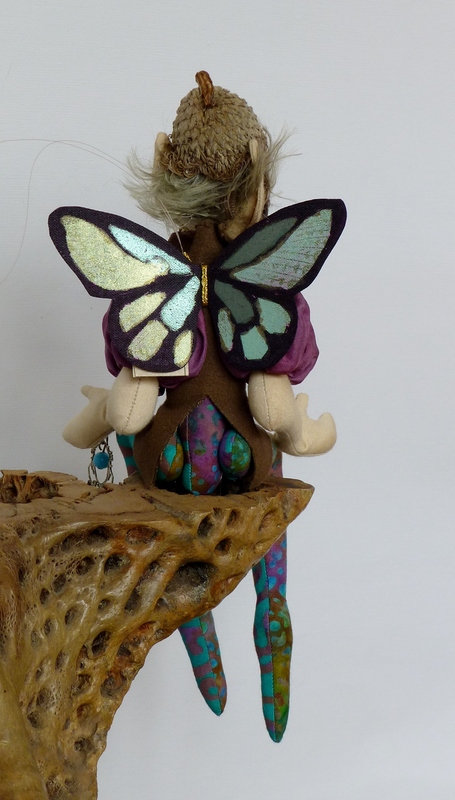 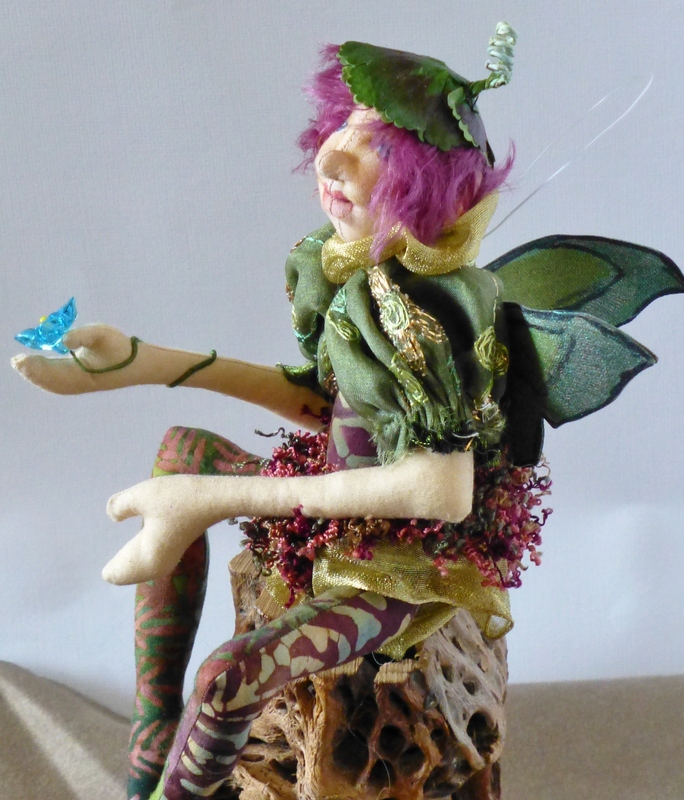 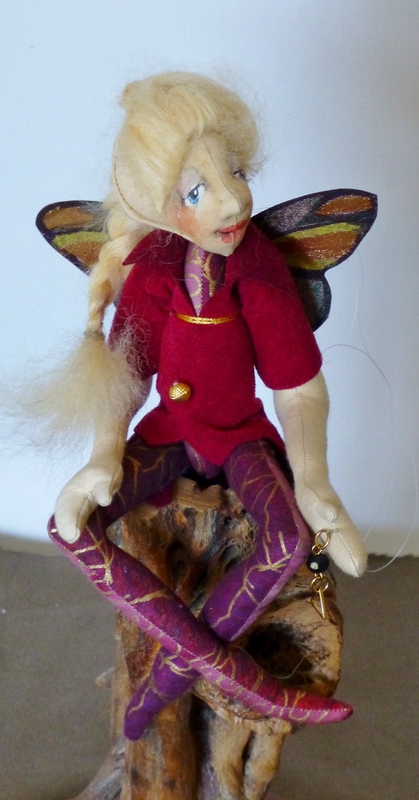 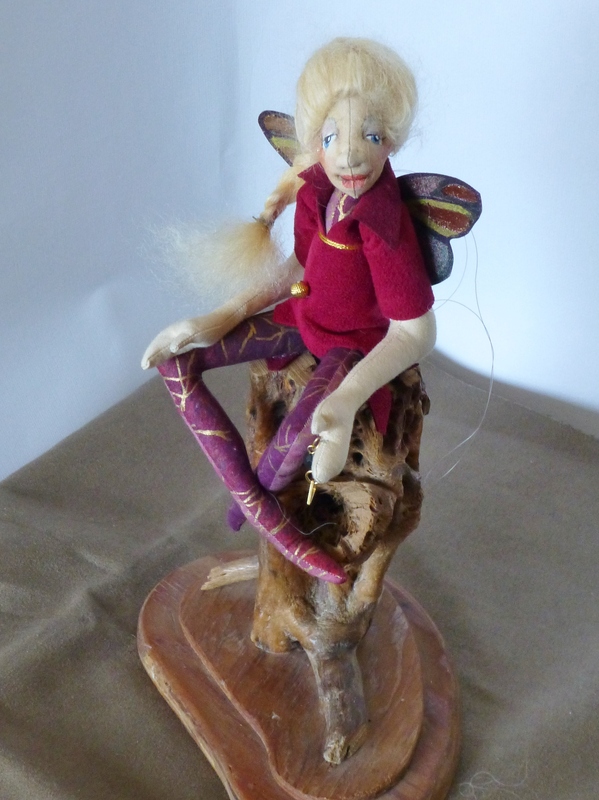 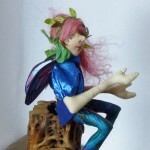 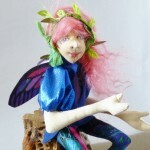 The fairies can sit, kneel or fly so they are very pose-able.